Imara stems from Swahili origins that means strong, resolute. 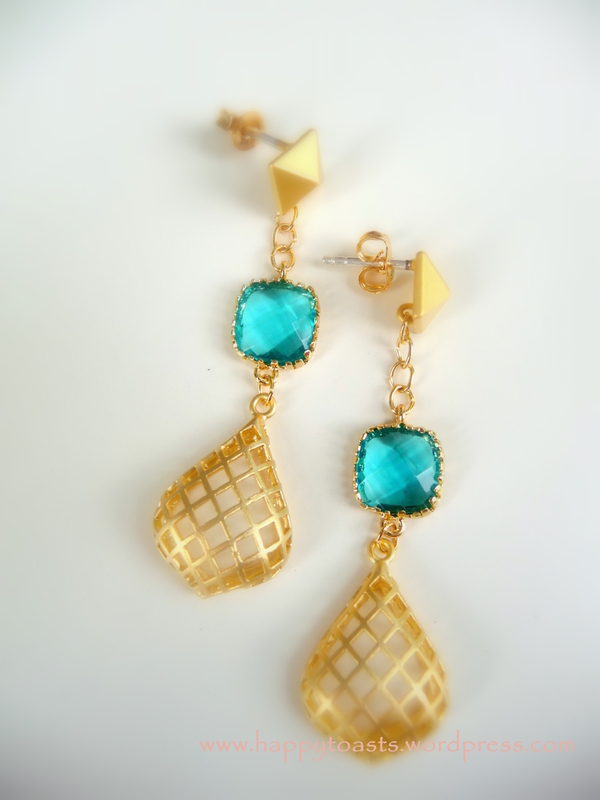 The earrings oozes the feel of bold and confidence. 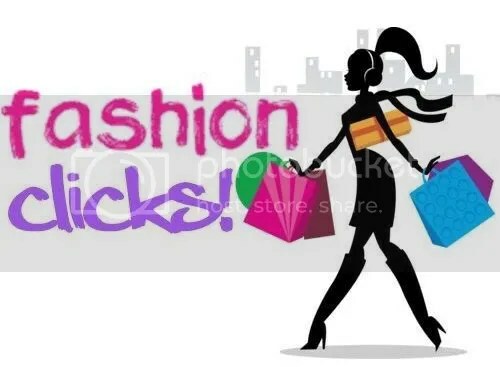 Wear it with your hair up or down and be sure that it will definitely get noticed. The cobweb-like character of the earrings main body is balanced out with the mix-match of gold and silver chains dangling randomly throughout it. This is necklace is my interpretation of beautifully messy. 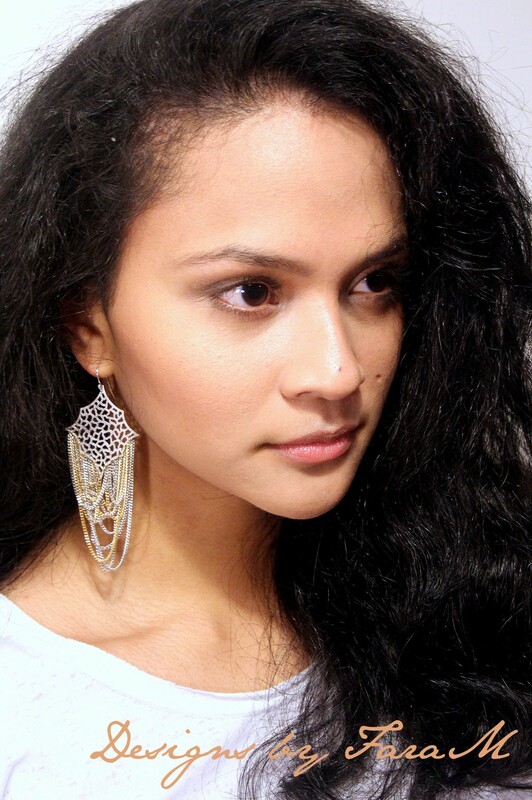 Made using a matte silver rhodium plated cobweb body, sterling silver plated earring hooks, silver and gold chains. 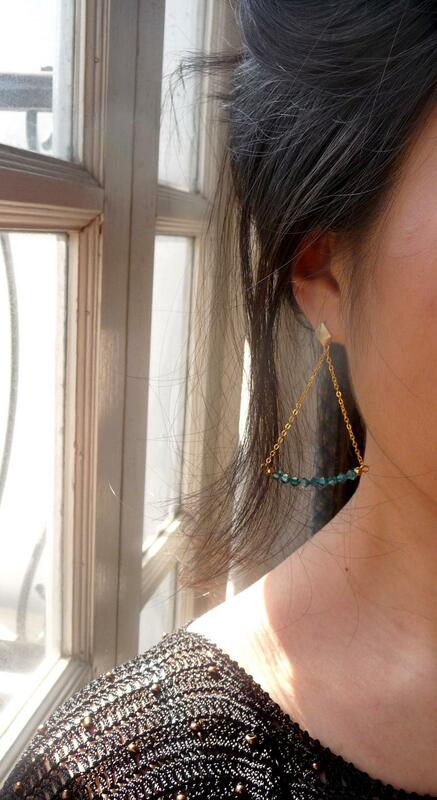 The earrings can be made using just one colour of chain instead of mixing silver and gold together. Please notify in the email if you prefer this instead. Also available in matte gold cobweb body. *P&P are not included in the price. Method of payment includes PayPal, MayBank transfer, UK bank transfers and all major credit and debit cards (through an automated invoice). For Malaysians, Pos Laju standard rate is used. For UK buyers, P&P is £1.50 for 1-2 items. 50p extra per additional item. For international buyers, please email me. A piece from the LUXE Collection. 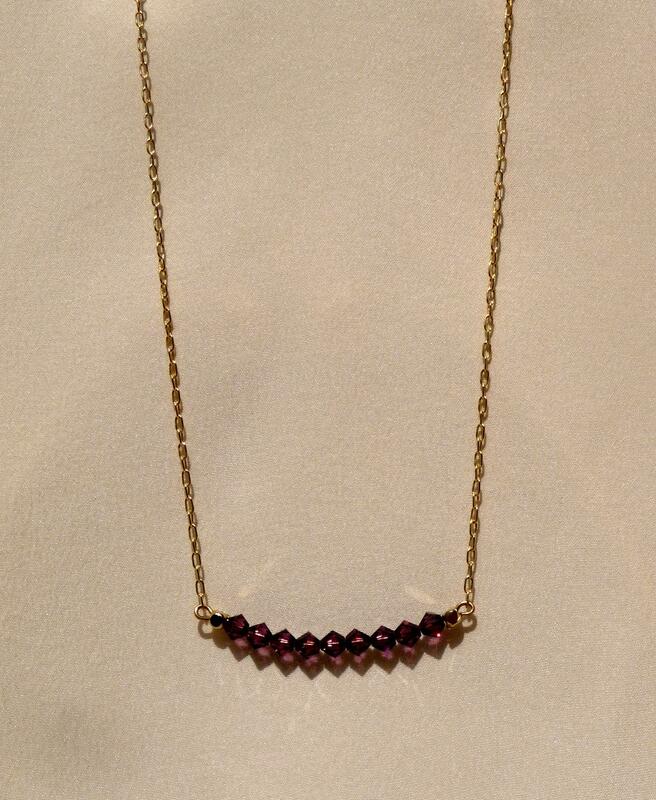 This piece is a statement necklace that could be worn with a shirt or even a simple plain sweater. 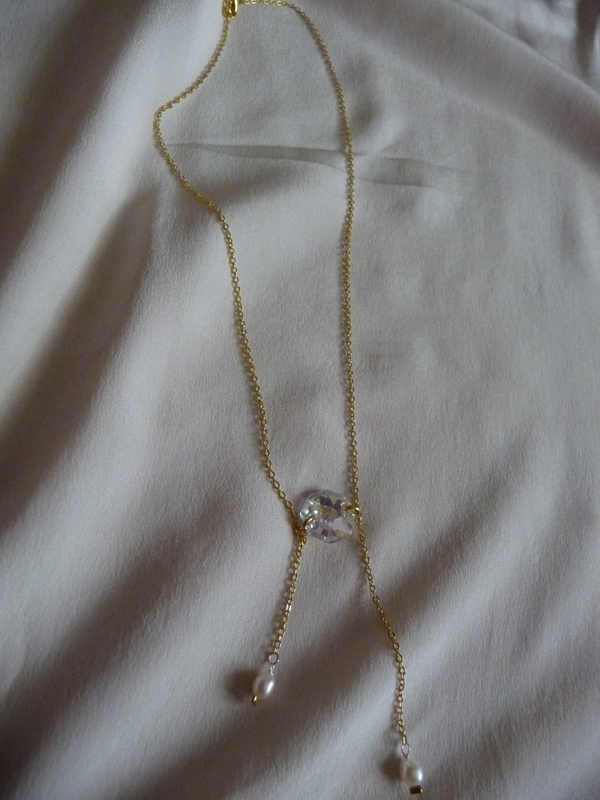 It is designed as a short necklace but could be made longer if preferred. Made with non-tarnish lightweight aluminium chain in brushed gold colour, four brushed gold large beads and three genuine Swarovski crystal beads in Jet and Copper. 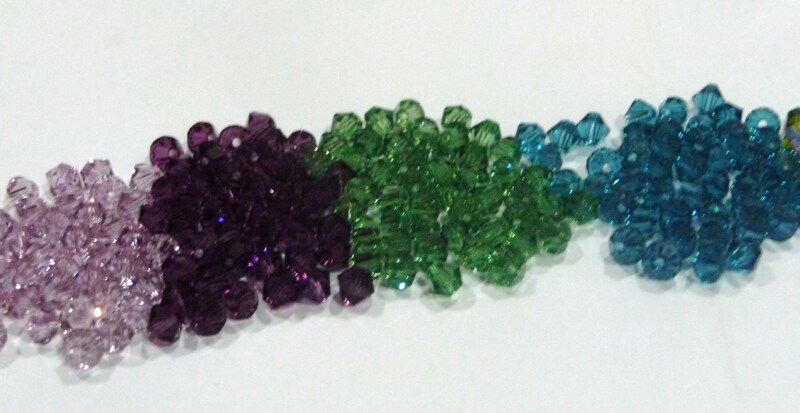 The colour of the Swarovski crystal beads could be catered based on preference. Made with non-tarnish lightweight aluminium chain in brushed silver, four brushed silver large beads and three genuine Swarovski crystals in Jet and Indicolite. The colour of the Swarovski crystal beads could be catered based on preference. 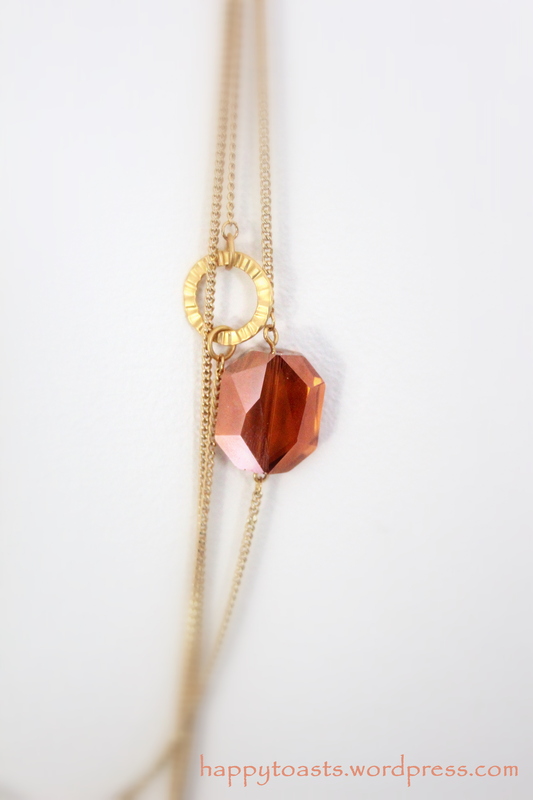 Portia, stems from the Latin origins, reflects the femininity of this necklace. 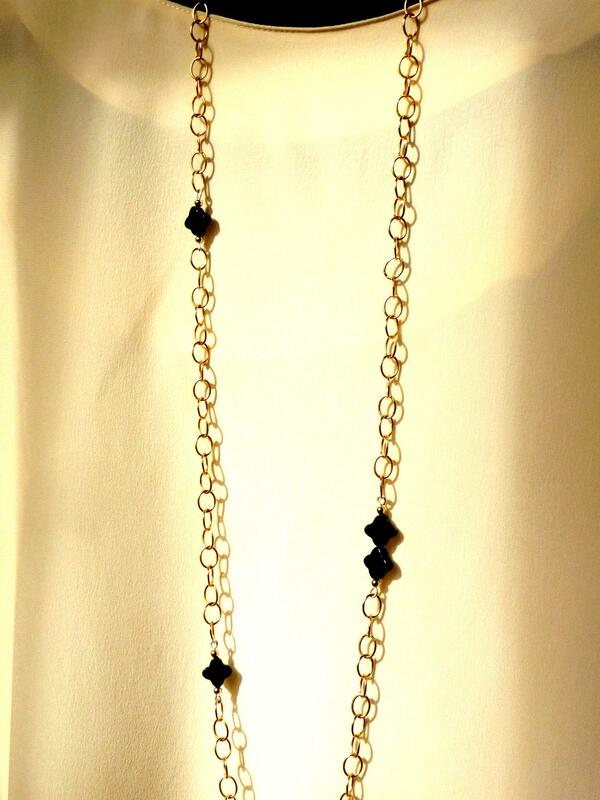 The delicate texture of the chain and the combination of elements within this necklace makes it a unique piece. Made from tarnish resistant chains, 16K gold plated over brass ring findings, 16K gold plated over brass oriental-inspired connector and a significantly large genuine Swarovski Crystal faceted stone. For UK buyers, delivery is £1.50 for 1-2 items. 50p extra per additional item. This necklace was named after a friend for whom I made this necklace for. She celebrated her birthday last week therefore as part of the gift, I decided to make her a necklace and name it after her. 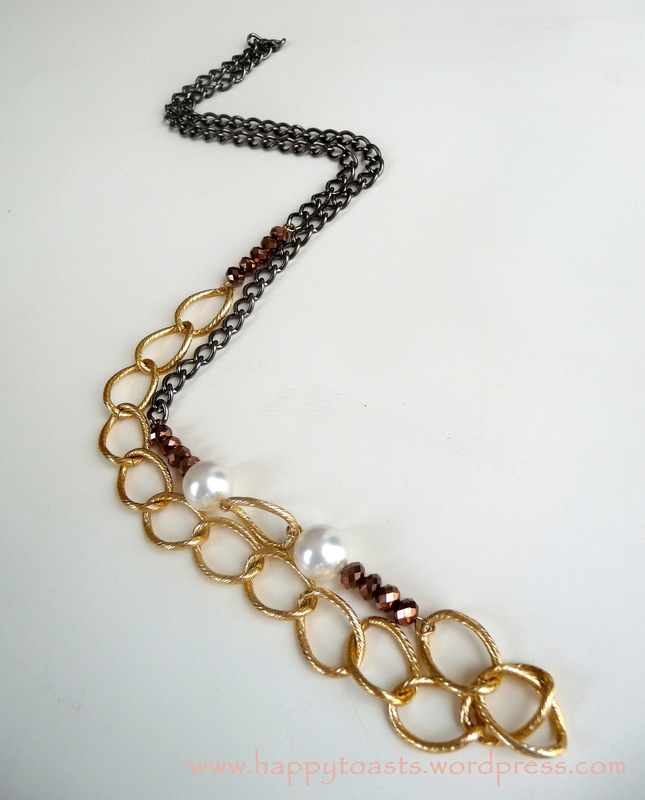 The construction of this necklace is simple and interesting. 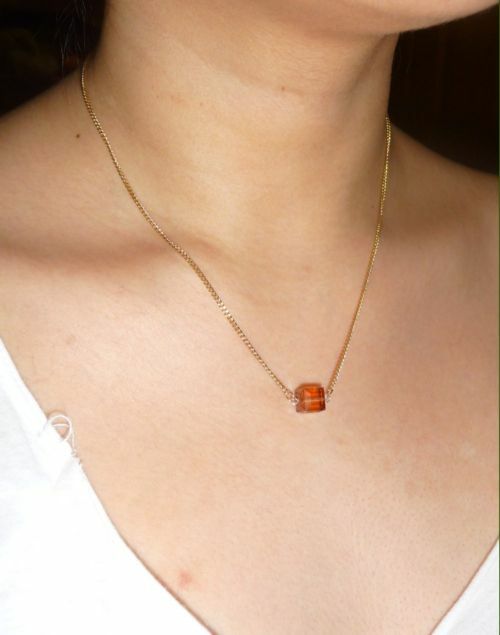 It is a short necklace that could be ideally worn on its own rather than layered. 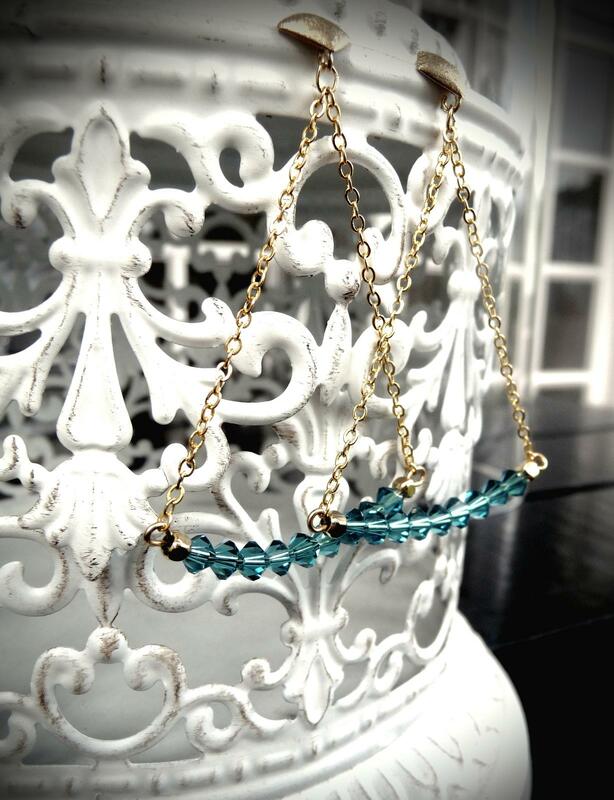 The longest part of this 3-tiered necklace is approximately 20″ and the shortest is approximately 16″. My best description of this necklace is 3 floating round beads. 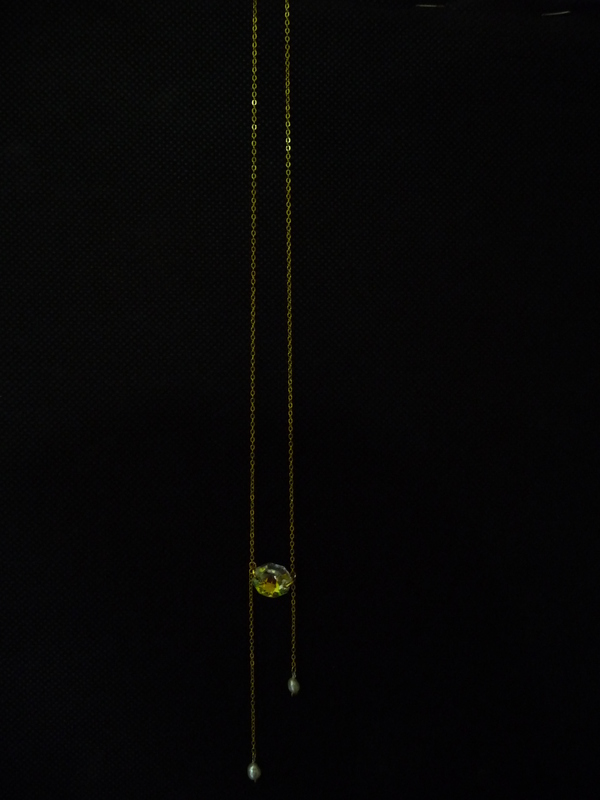 From afar, the beads look as though it is floating because of how delicate the chain is. It is made using 16K gold plated over brass chain and 3 highly polished 16K gold plated over brass round beads. All items used are tarnish resistant. A silver option is also available. 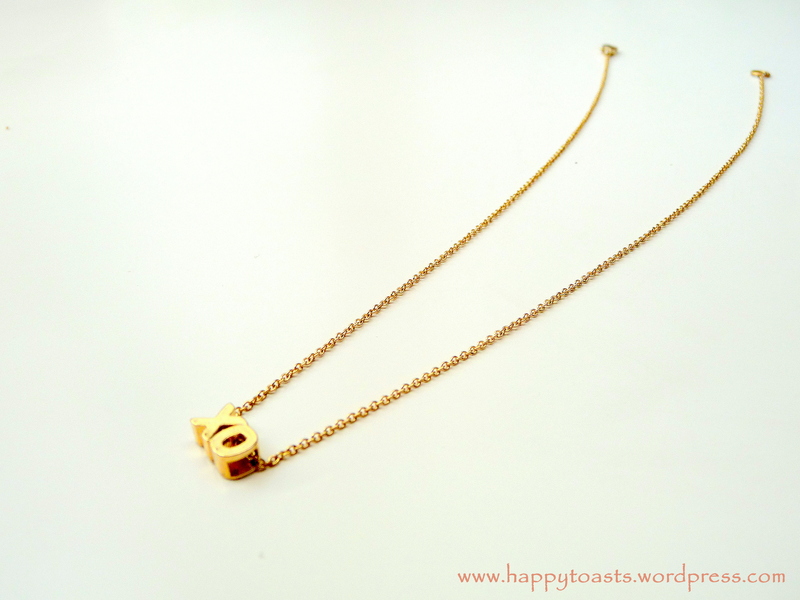 A simple love necklace that could be worn with any jewellery and any outfit. 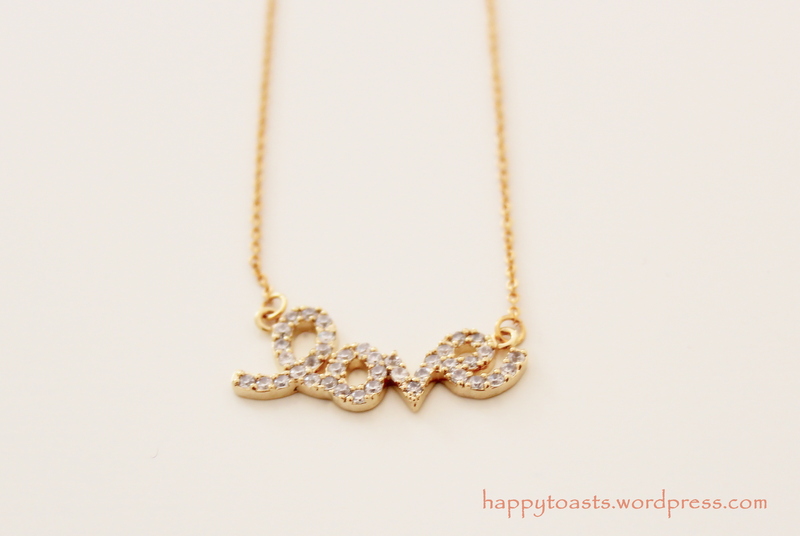 The Love pendant is beautifully made using small pavé setting Cubic Zirconia stones that shines elegantly. 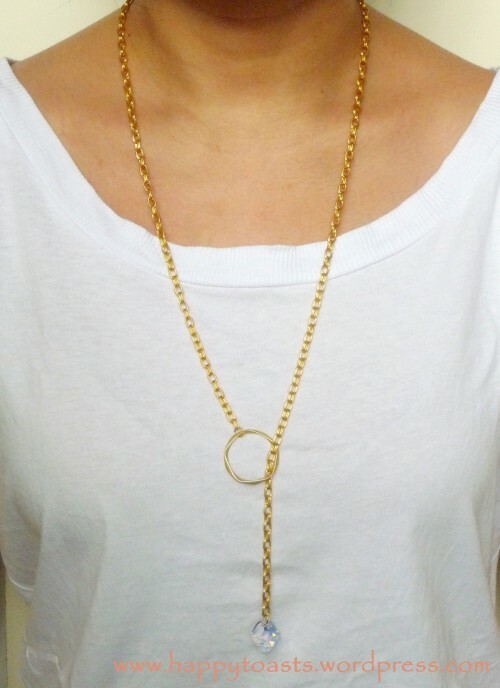 The chain used is the same as the XO necklace, it is a 16K gold-plated over brass chain that is also tarnish resistant. 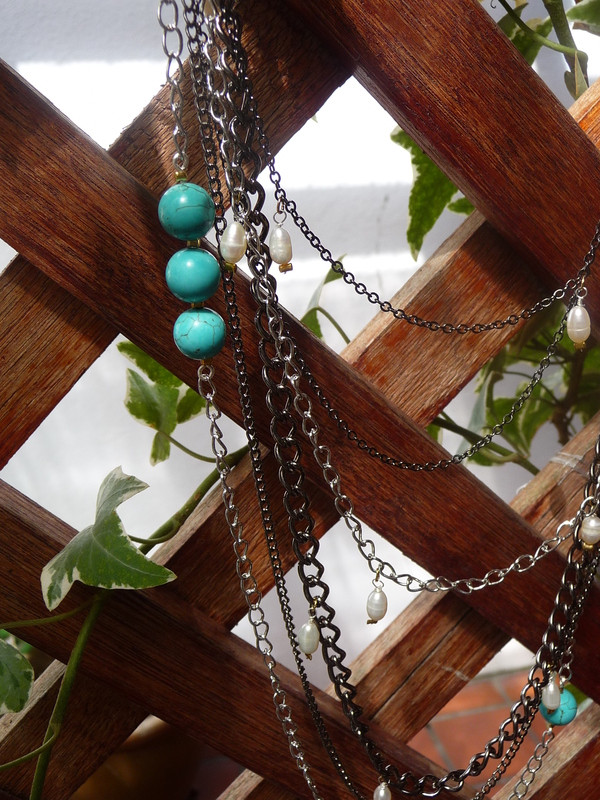 The length of chain can be made from 16″ to 20″ based on preference. Also available in a silver option. Like the La Perla earrings, this is made using the same mother of pearl beads. The bigger chain is one of the highlight of this bracelet apart from the pearls, as the chunkiness and the quality of it even blew me away. It is a beautiful piece that could be worn daily. 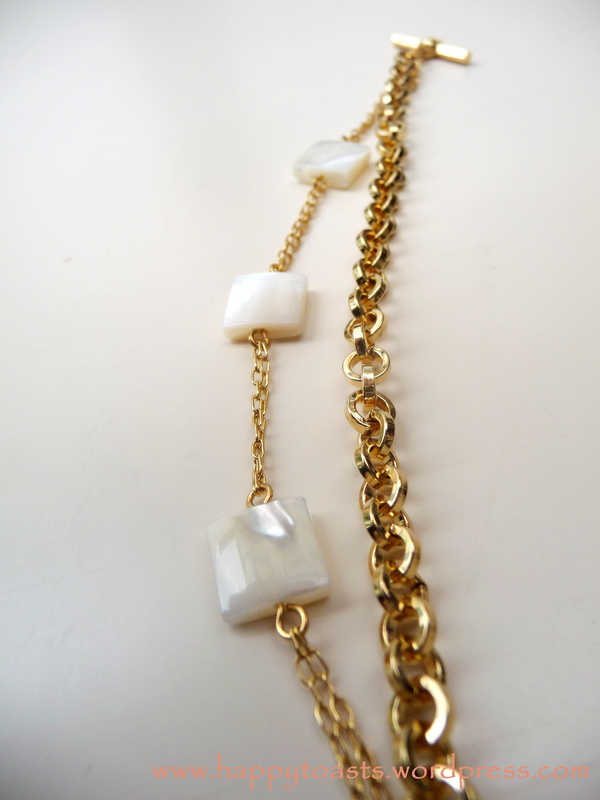 Made using 3 genuine mother of pearl square beads, small cable 16K gold plated chains and a substantially heavier chain made out of 16K gold plated over brass. 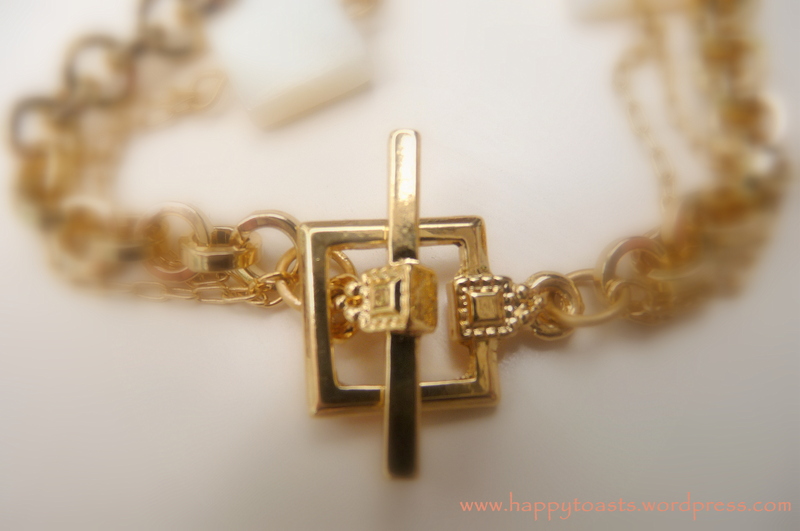 The bracelet is then finished with a 16K gold plated unique toggle for easy wearing. All the findings are tarnish resistant. This necklace is one of the few exquisite pieces in my collection. The details on the chain itself is very unique and pretty. The whole concept of this necklace made me think of a rope, as I was trying to name this item. Hence, the name corde which is rope in French. 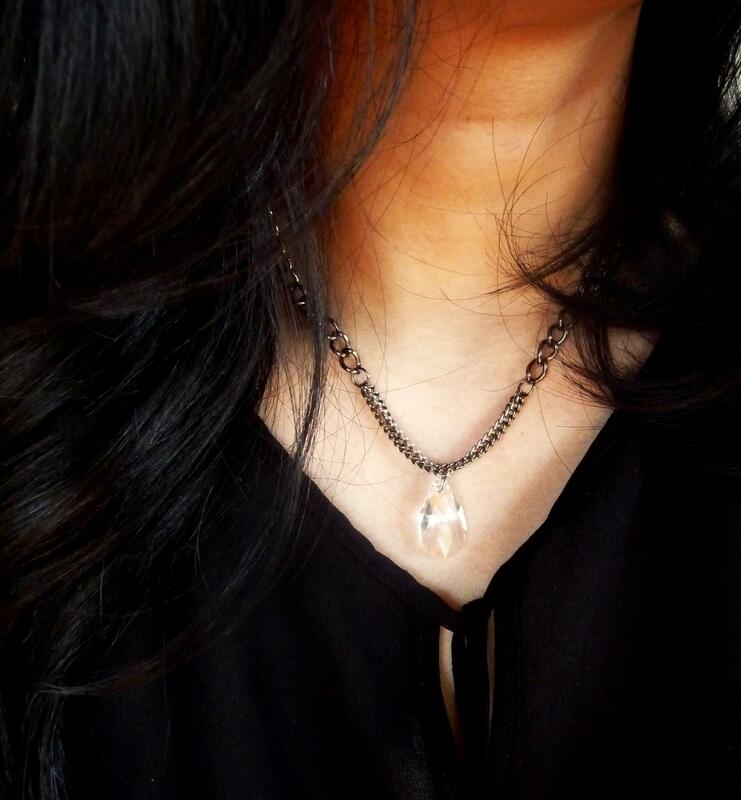 It is simple yet cleverly elongates any wearer of this piece which is what makes it so charming. 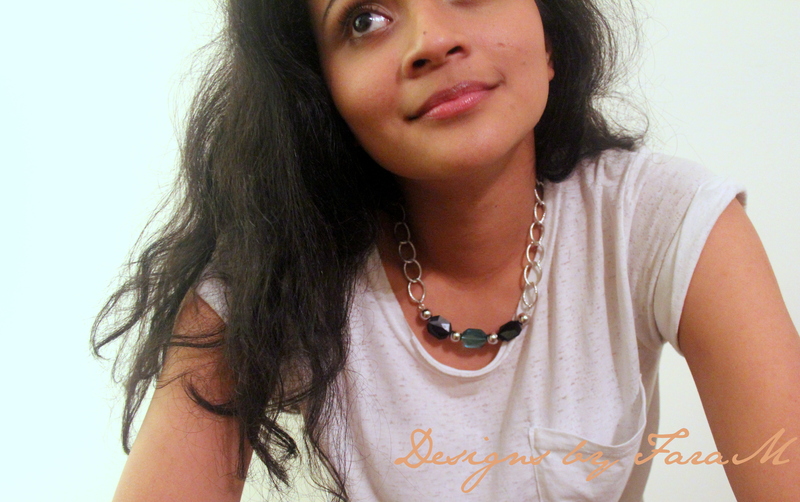 I made this necklace so clean and simple that the way to put it on, is equally as simple. The ring on the front is the equivalent of a “clasp” that usually sits at the back of the neck. Just slide the crystal end into the ring and place is at any length you desire. Wear this with a simple LBD or any dress for that matter. You can even wear this as a “back” necklace for low cut-back dresses. 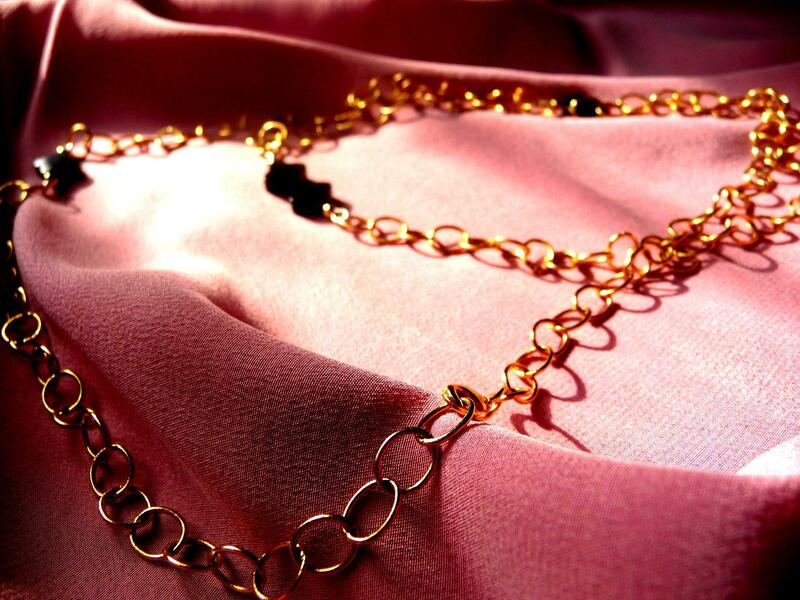 Made with 16K gold plated over brass chain and findings. 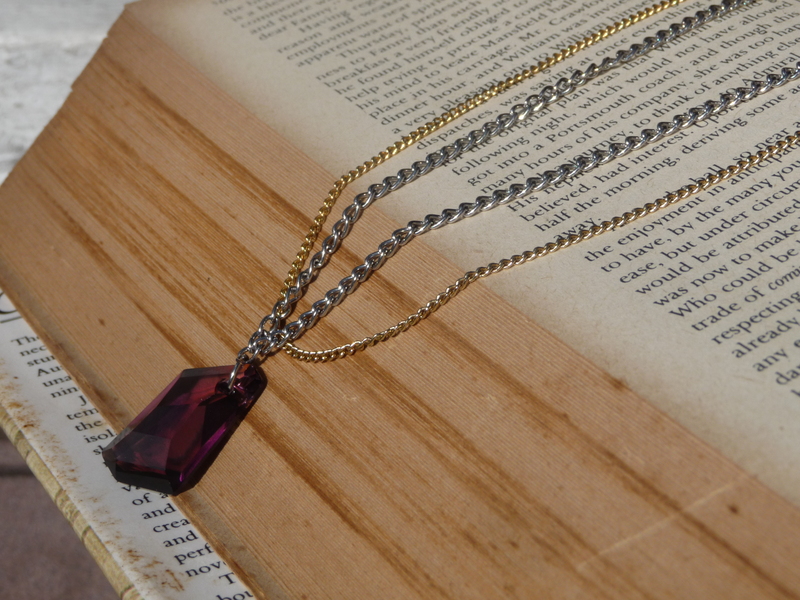 All of the item used in this necklace has a matte finish, except for the crystal. The crystal used is genuine Swarovski Cosmic Crystal in the colour Crystal Aurora Borealis. 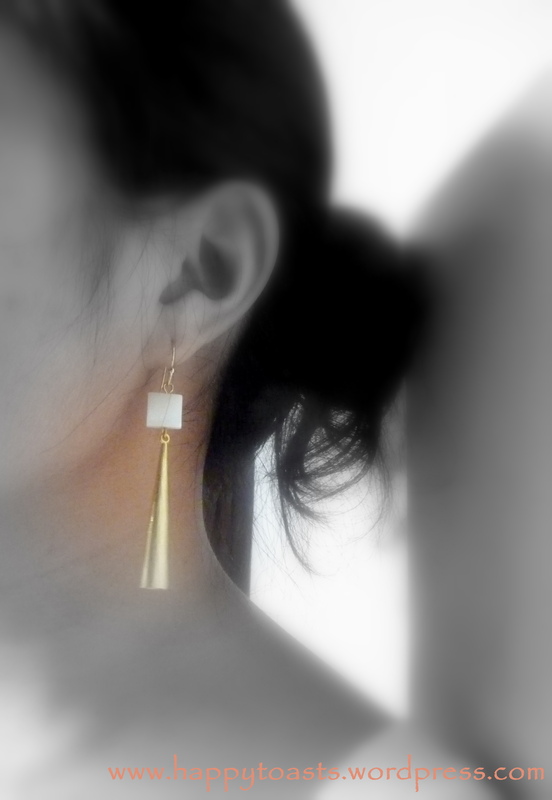 La Perla or The Pearl earrings is a very contemporary piece with its minimalism and clean lines. 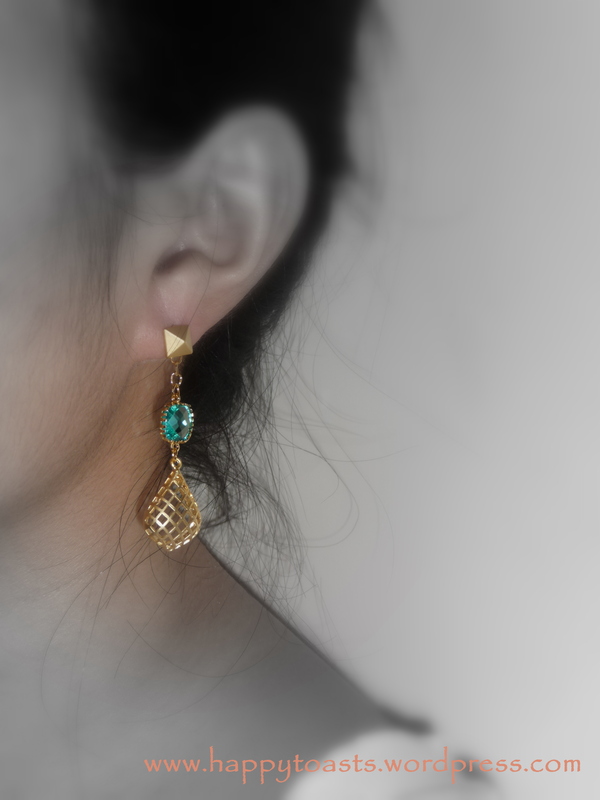 The cone shaped earring drops make a powerful statement while maintaining a simple elegance to it with the mother of pearl beads. 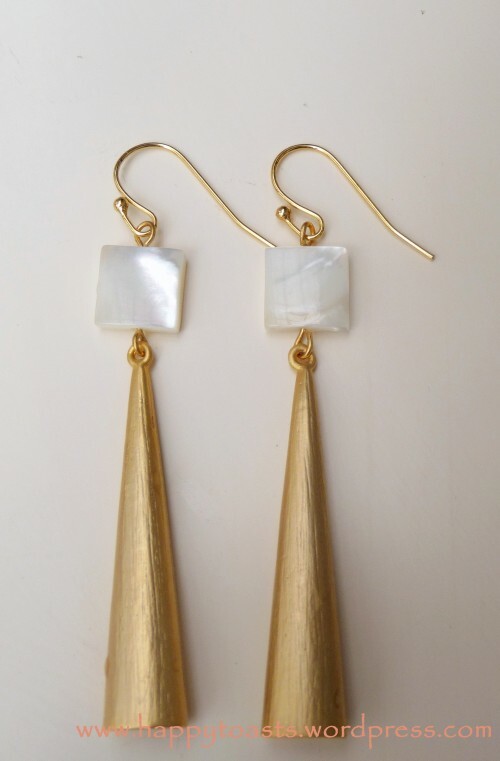 Made using genuine square shaped mother of pearls, 16K gold plated over brass cone shaped drop with a texturised matte finish and 16K gold plated over brass earwire. All of the findings are tarnish resistant. Also available in silver if preferred. Saba in Swahili which means seven. 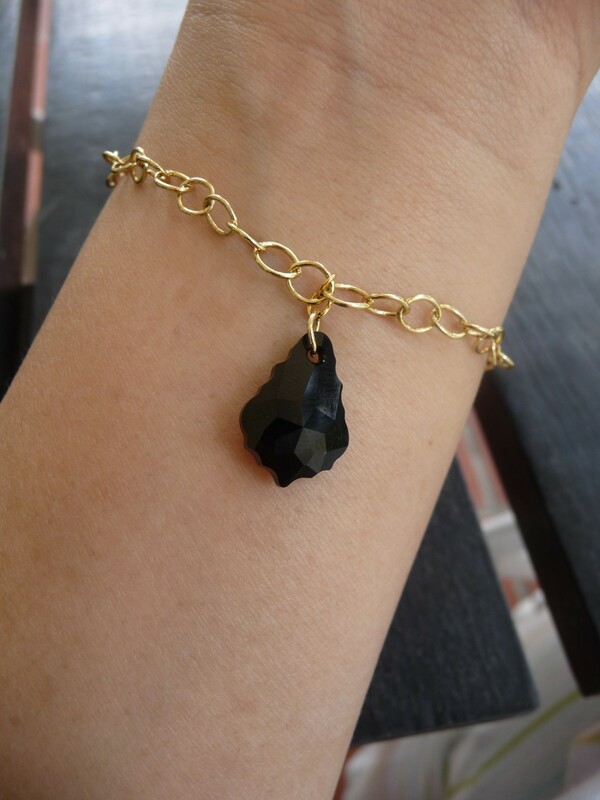 Carefully handpicked natural bloodstones that are essentially what this bracelet is made of. This is my version of a summer’s “friendship” bracelet for grown-ups. It is colourful but not overpowering, it is fun but elegant. 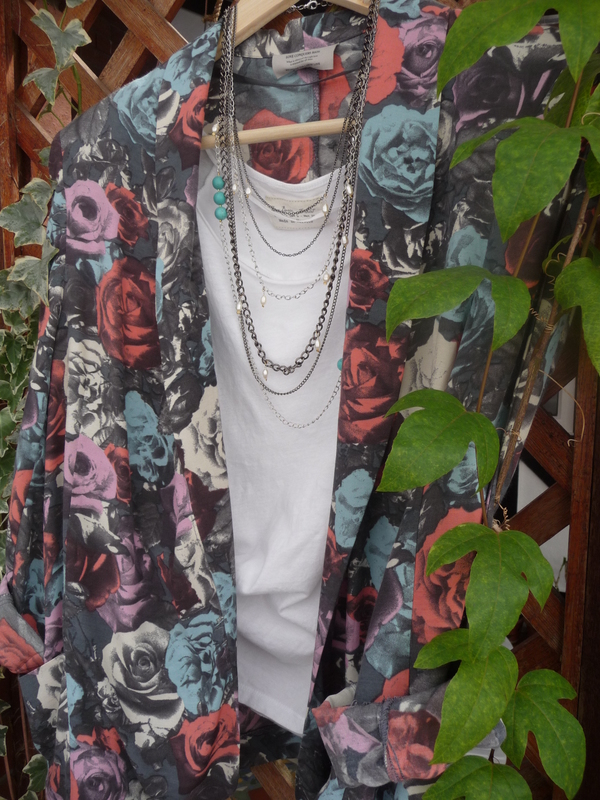 Like many other pieces of mine, this is too recommended for layering. Give it as a gift to a dear friend, it is simple enough to suit any style. 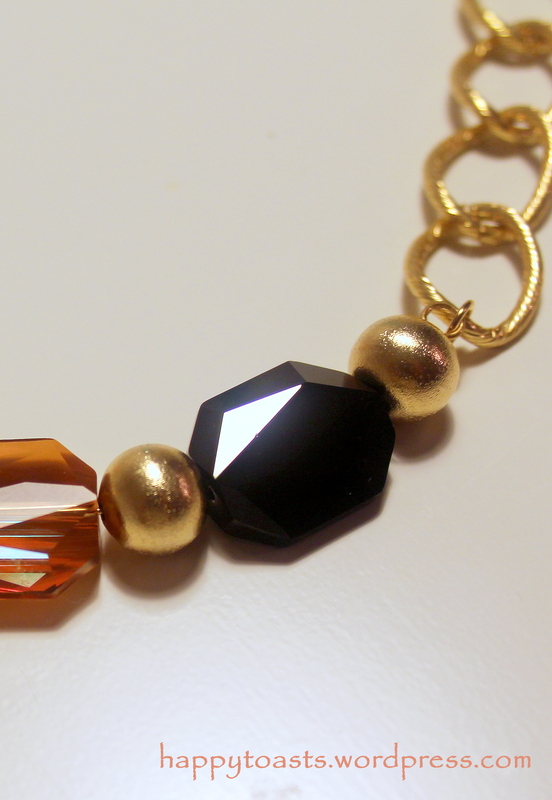 This is a somewhat bracelet version of my Ella Necklace. 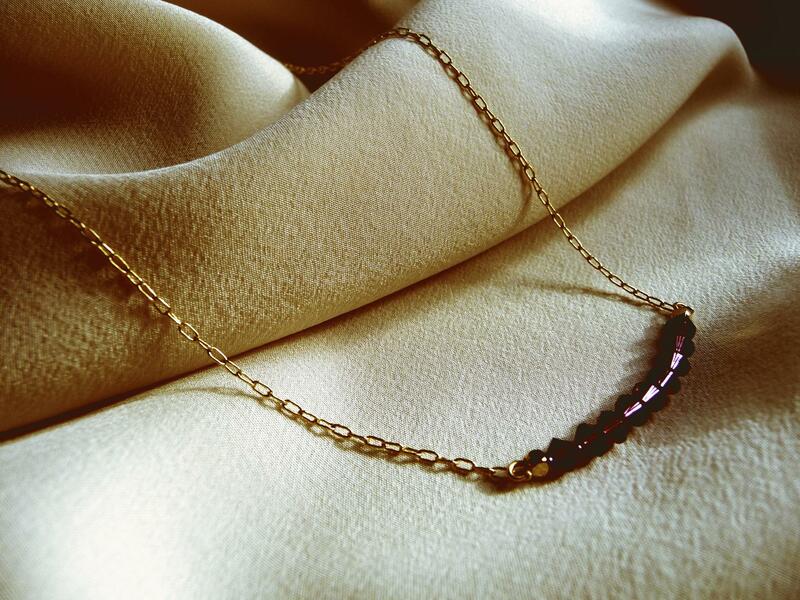 Made with 7 multi-coloured natural bloodstones and 16K gold-plated chains and findings. The length is subject to your required wrist measurement. Could be made into a necklace to if desired. 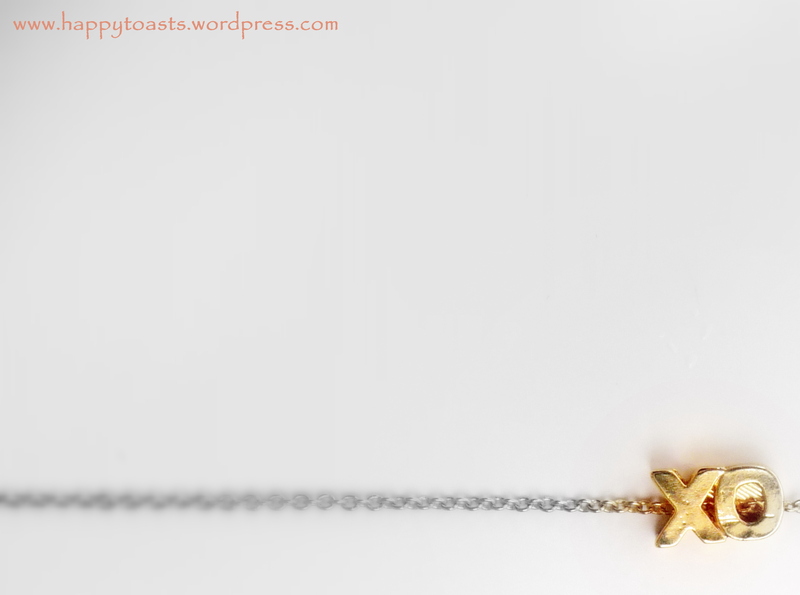 A self-explanatory necklace that is pretty and cute. The pendant definitely reminded me of Gossip Girl. I kept it simple without overdoing the nice pendant. 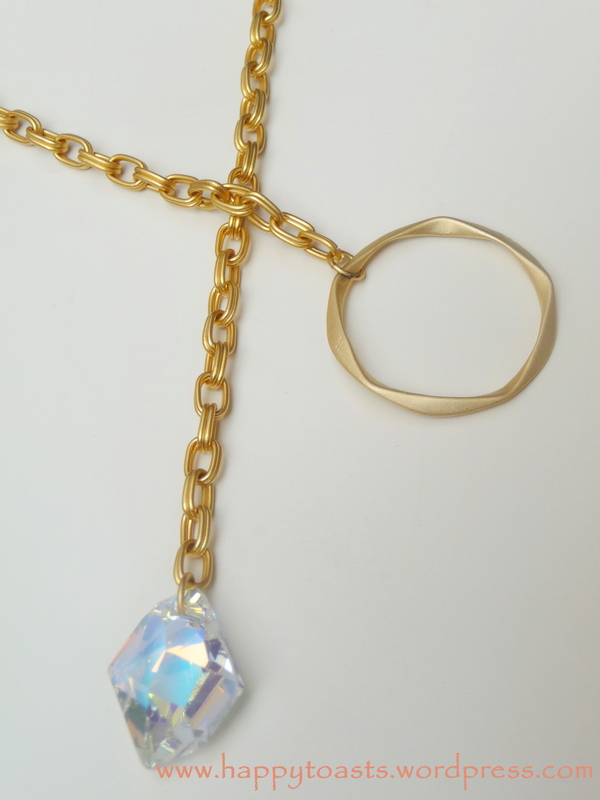 Made from 16K gold-plated over brass pendant and chain, tarnish resistant and highly polished. It is shorter than most necklaces but could be made longer if desired. The length is approximately 16 inches. 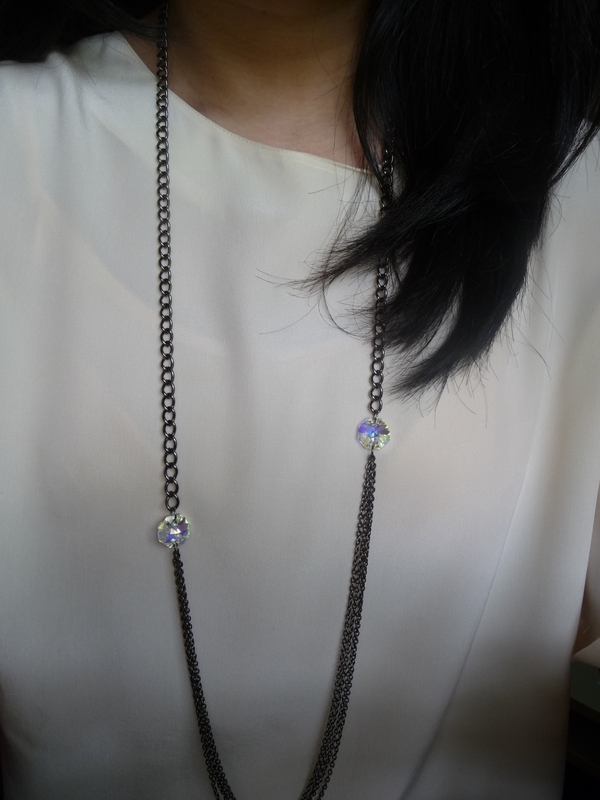 I think this necklace is perfect for layering. 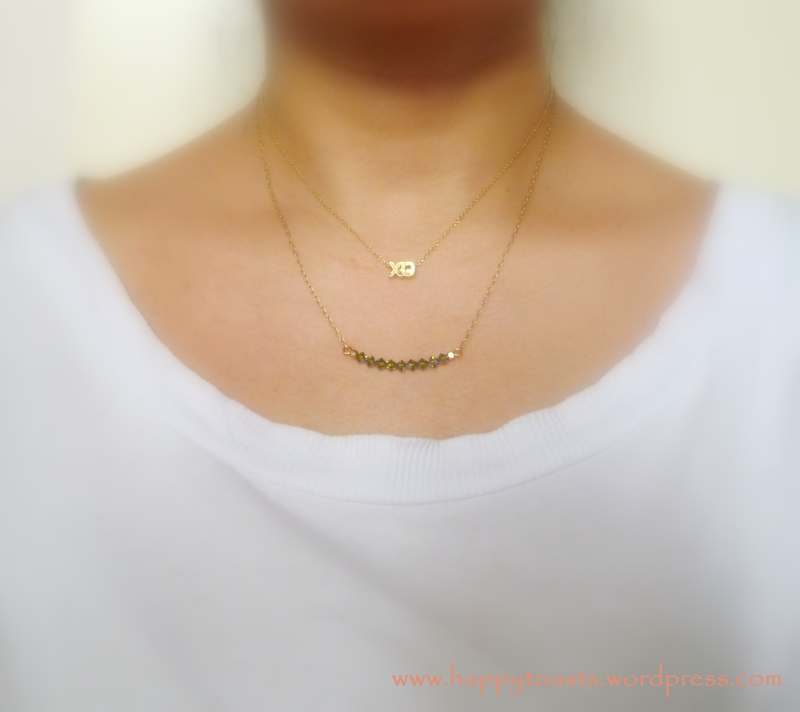 I have been wearing it with my Ella Necklace and loving this combo with my daily outfits. I was told that this necklace is somewhat similar to the one that was worn by Lea Michele in Glee, however hers has diamonds encrusted in the pendant. My piece is somewhat of an affordable version of that. Neuf in French which means new or fresh. 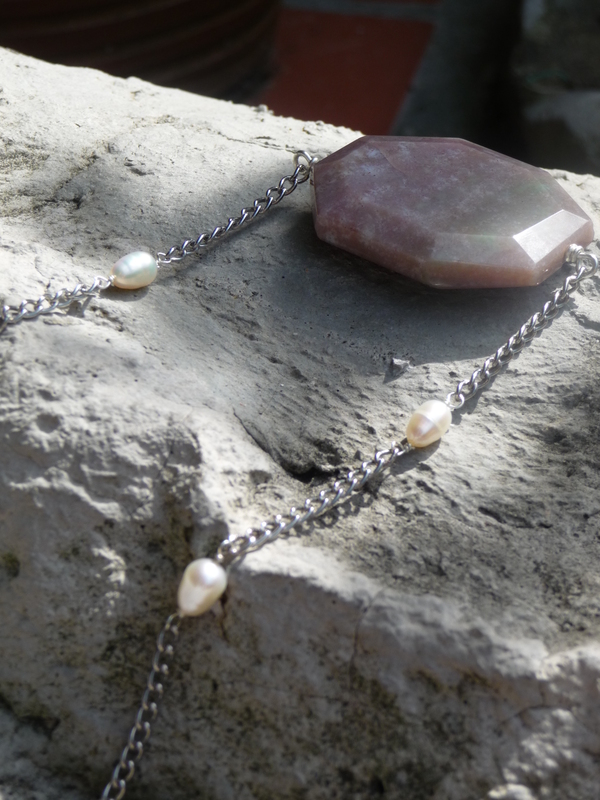 I incorporate the elements of old and new in this necklace. Old representing something more mature like the pearls and new something more edgy like the different elements of chains. 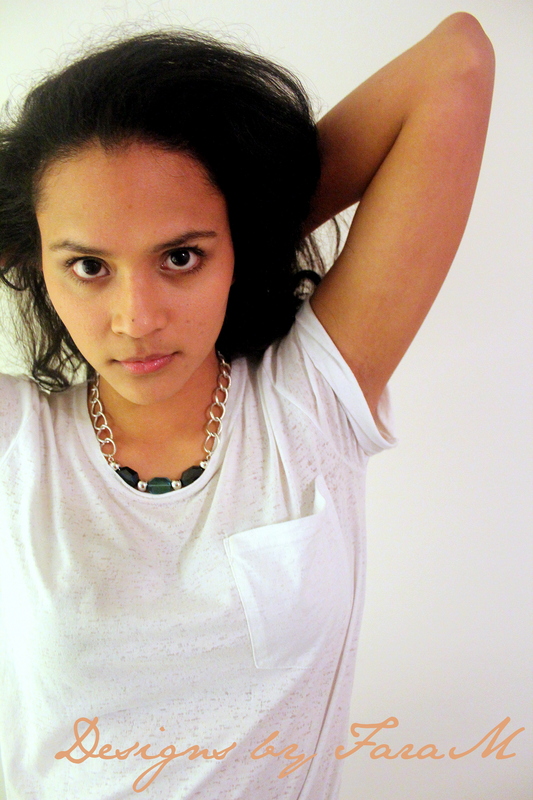 Together, it creates something fresh and new like this Neuf Necklace. It is chic and elegant while keeping an edgy side to it. 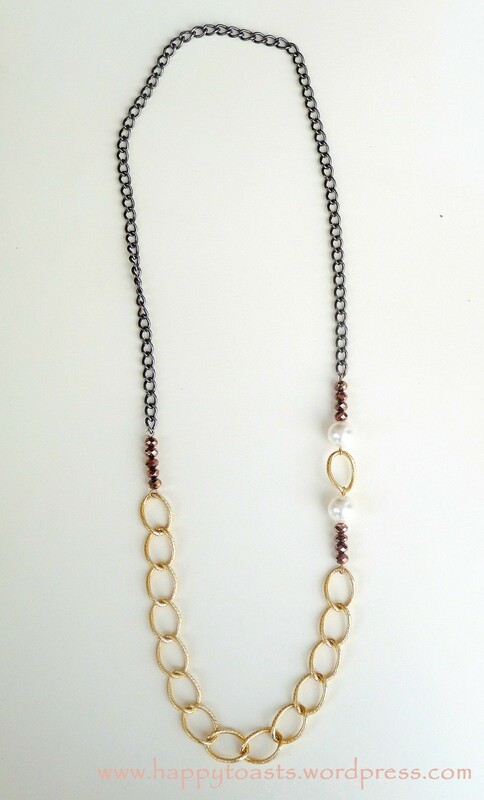 Made with gunmetal chains, pretty detailed aluminium large chain in the colour gold, several faceted crystal beads in a bronze/rose gold colour and 2 genuine Swarovski crystal pearls. This piece is so striking to the eyes thanks to the unique colour of the crystal stone. 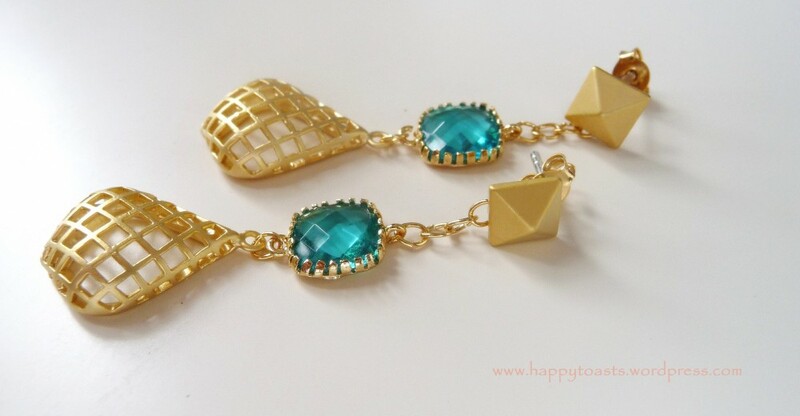 The picture is true to its colour, it is a gorgeous blue-green colour reminds me of the deep blue sea. Jouer which means play or to play in English sums up this item very well as you can pick and choose or play around with this necklace to see how you like to wear it. 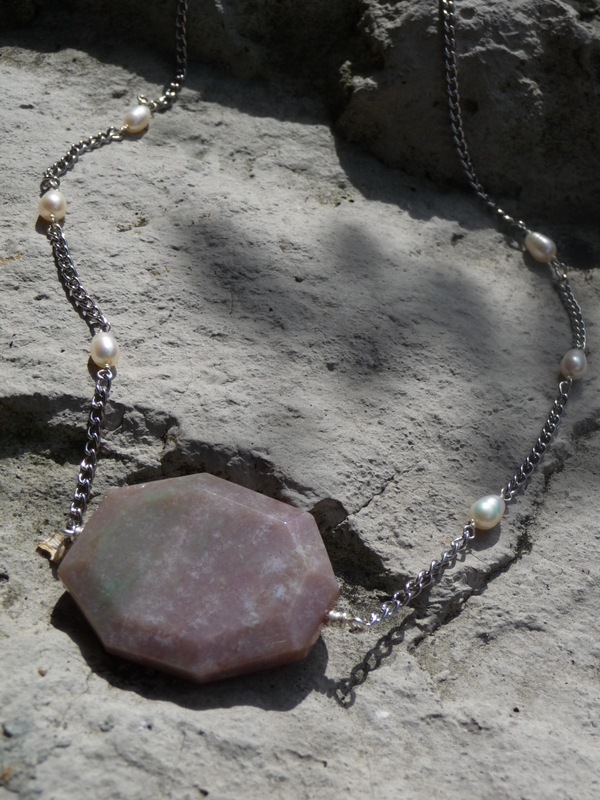 I did not make this item to be too constricting therefore you can play and place the stone when you wear it, either in a square angle or a more “diamond” shaped angle. 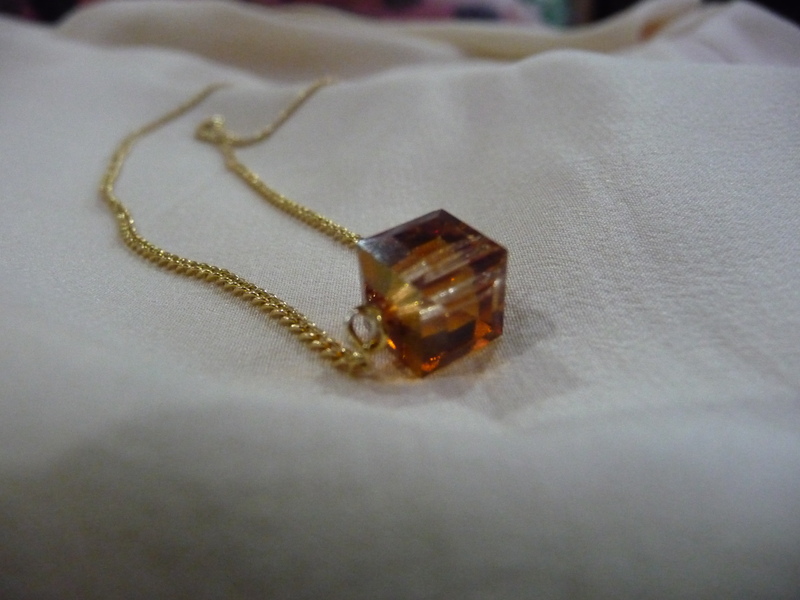 The picture shows how you’d wear it in a “diamond” shaped angle. 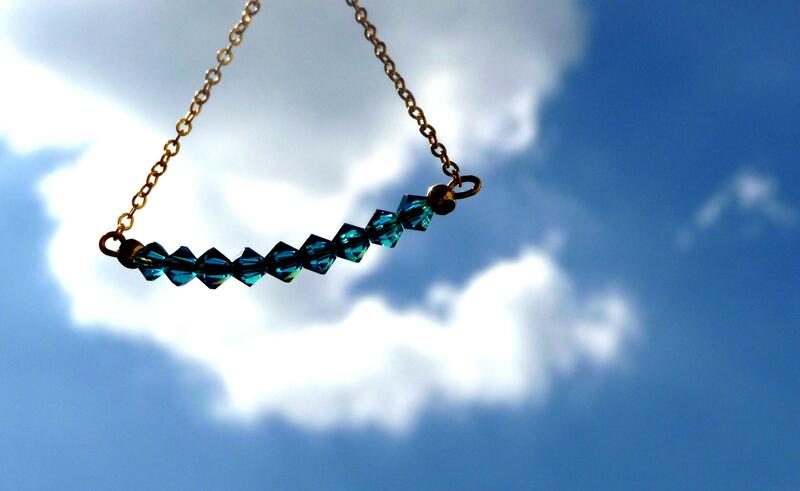 Made using genuine Swarovski crystal frame in Bermuda Blue, oval linked chain in tarnish resistant 16K gold plated brass , a smaller fine tarnish resistant chain and 3 small faceted 16k gold plated brass beads attached. Luxurious or in Swahili, anasa. This piece oozes a feel of luxury and class. Mix that with a tribal vibe, is what inspired me to this unique name. Wear this piece out and feel a touch of glamour with your outfit. Much like the Anka Earrings I’ve designed earlier this piece is made out of similar findings; earring studs are 16K gold plated over brass with sterling silver posts, Cubic Zirconia stones in 16K gold plated brass setting and teardrop-shaped unique finding in 16K gold plated brass. Handmade and designed by me, like all the other items. The piece used in this pic is a sample and will not be sold for sanitary purposes. When I started making jewellery, I think this was one of the first necklaces I’ve been meaning to make. I had a mental picture of using these crystals because my mum has had it lying around for awhile, and she didn’t end up using them at all. 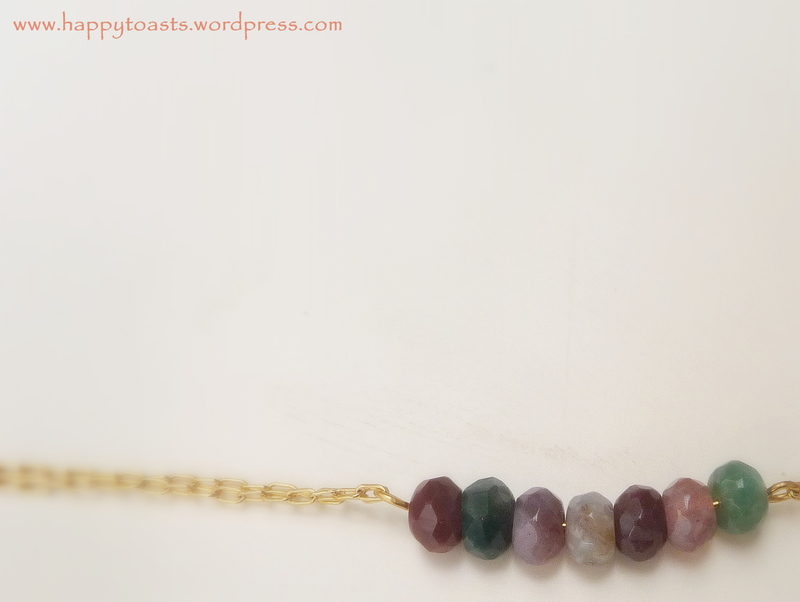 I’ve always envisioned putting the crystals in a row and making it into an everyday necklace that the chain somewhat melts and blends into the skin well. Along the way, I’ve forgotten about this early idea and started making other designs. 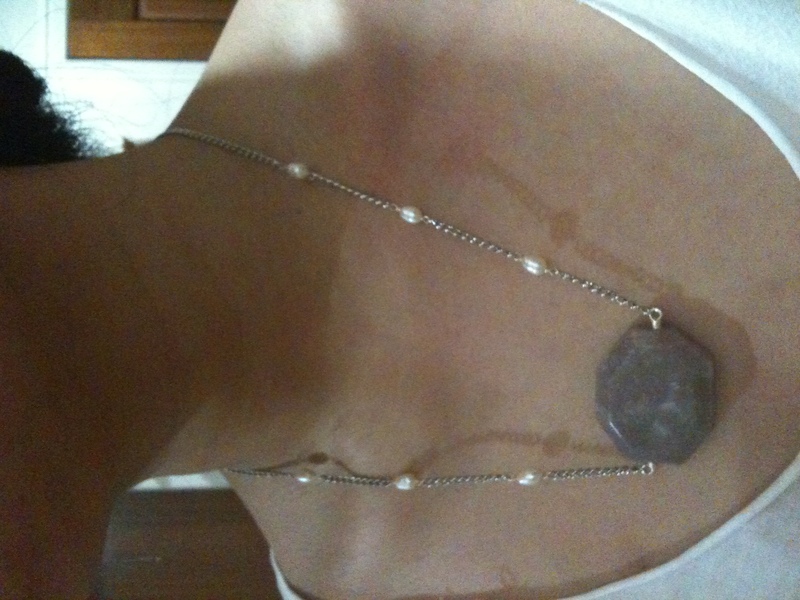 I’m so happy that finally I’ve made a necklace exactly how I’ve envisioned it would be, if not better. 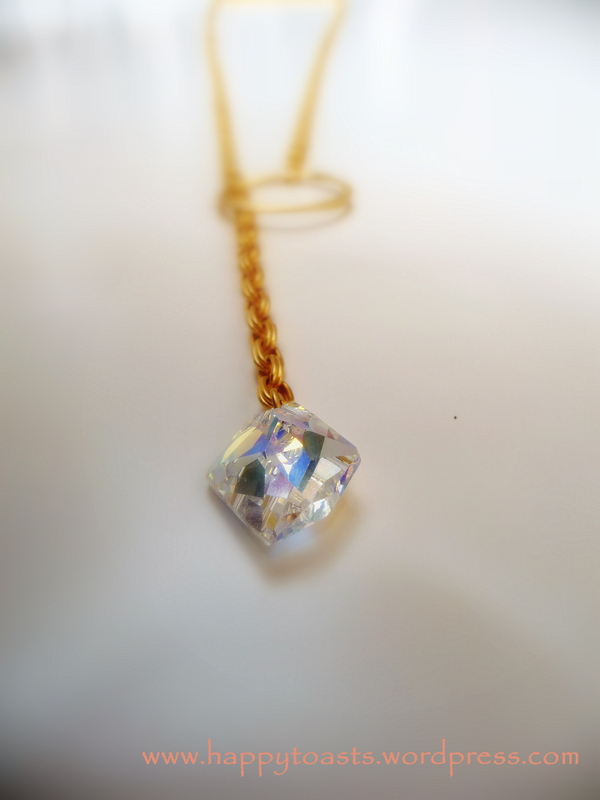 This piece is made with 9 small genuine swarovski crystals, one faceted 16K gold plated over brass bead on each end and small 16k gold plated over brass chain. 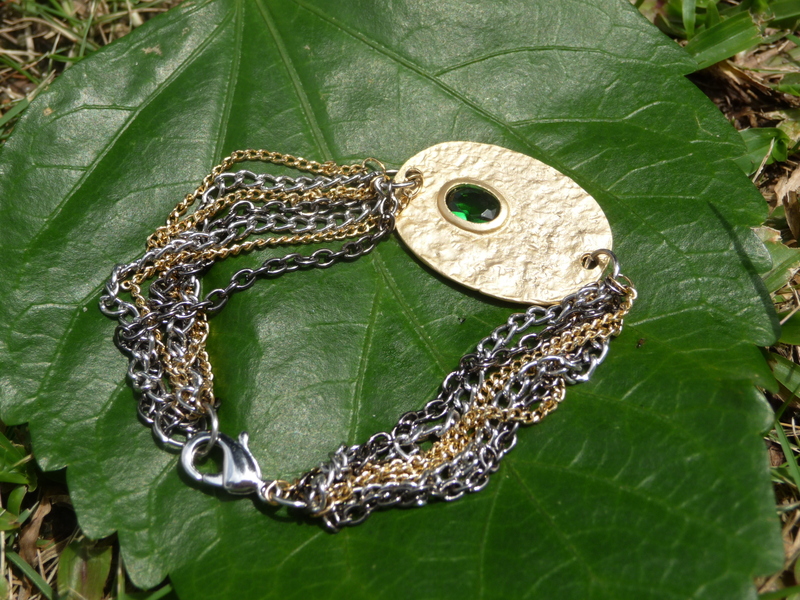 The chain is tarnish resistant and is approximately 18 inches long. 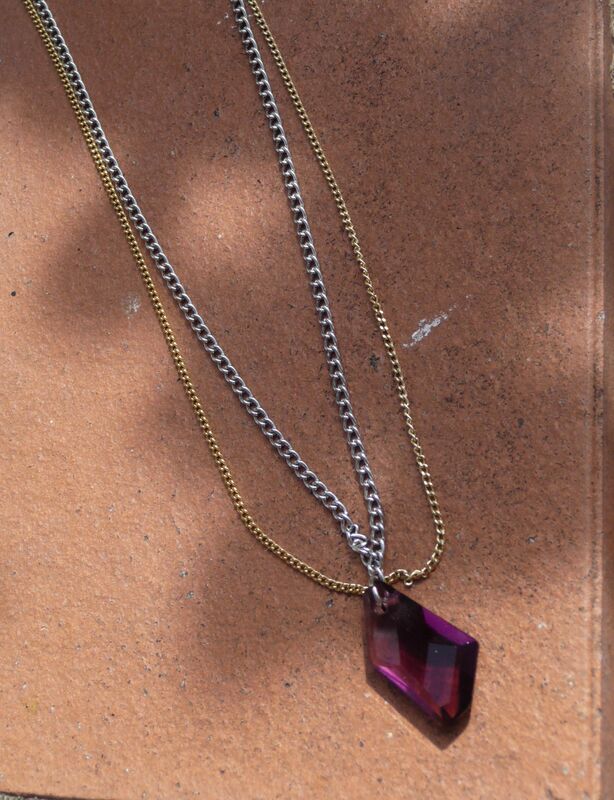 You can wear this layered with your other short necklaces, or even a plain longer chain with no pendant. And in also silver or gold chain. 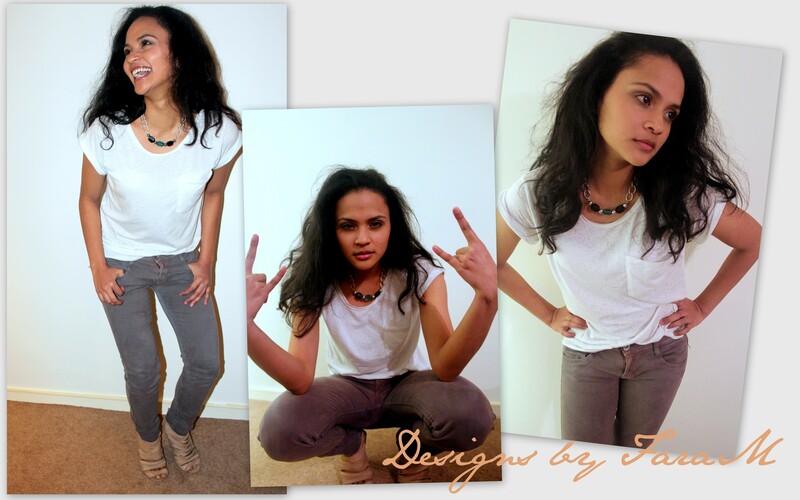 Photos were creatively edited by the beautiful Saran M Tagal. 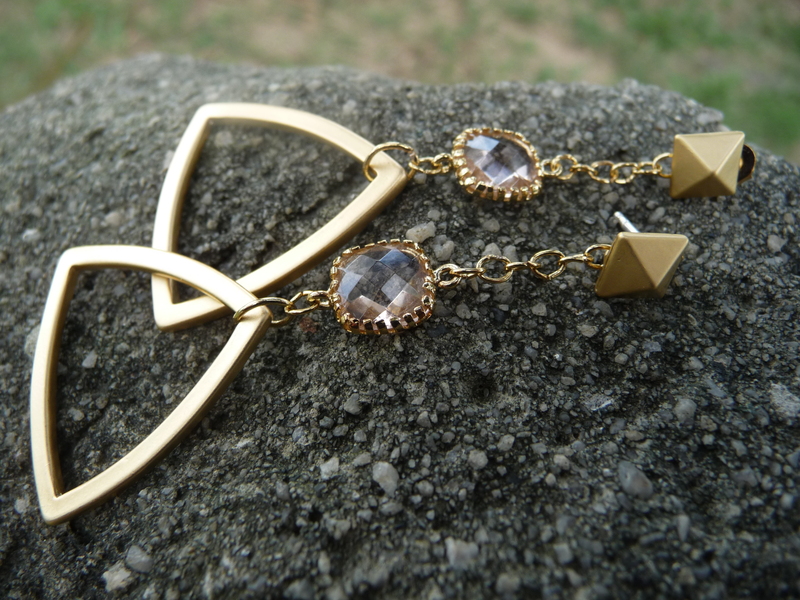 The inspiration of this earrings is from The Ella Necklace. 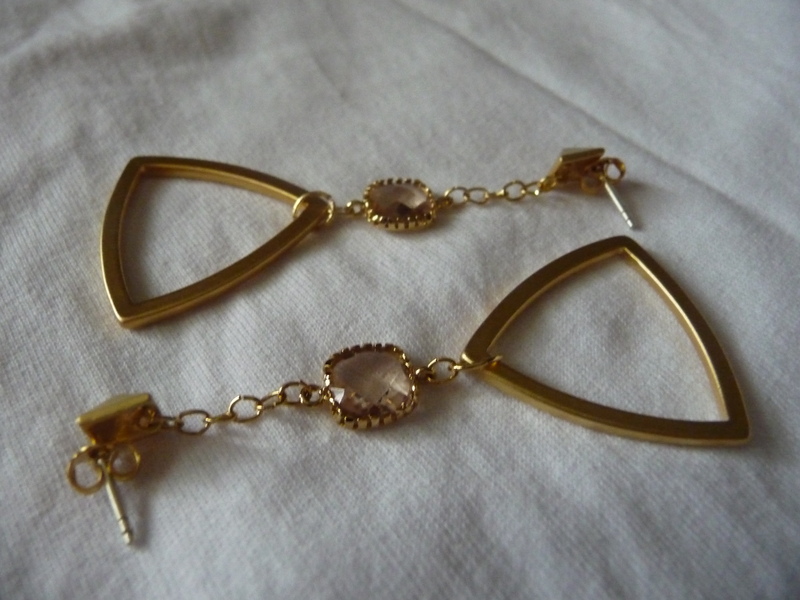 I was toying with the necklace and saw that it would be beautiful if made into earrings. 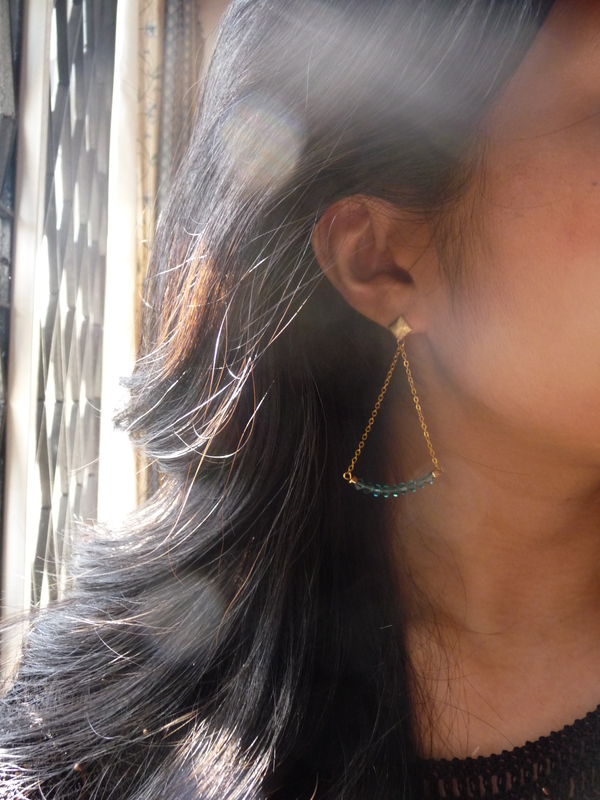 Triangle-shaped jewelleries are so ‘in’ right now so this piece would be a perfect pair for the summer. Wear it with a simple top and jeans or with a maxi dress. 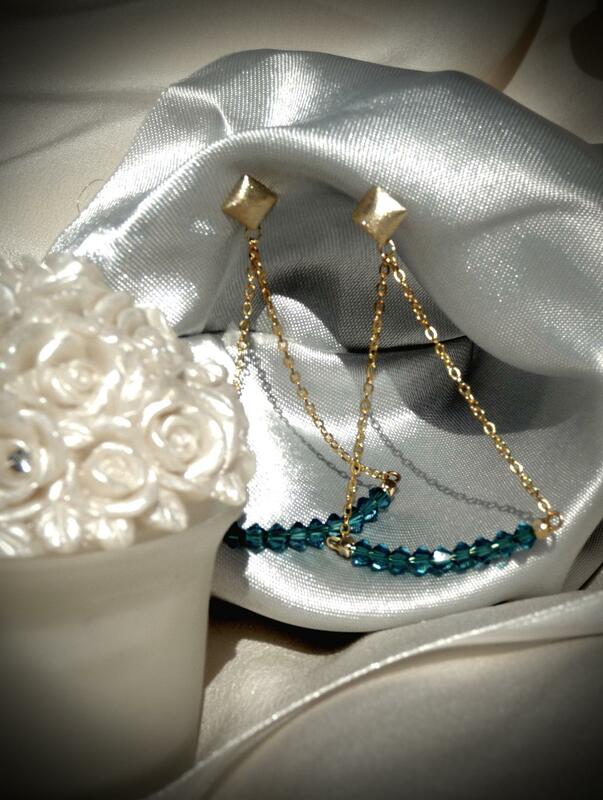 It is made with 9 small genuine swarovski crystals and 2 faceted 16K gold plated beads on each part of the earrings, a sterling silver post and gold coloured chain. This piece looks great with hair up or down! Like The Ella necklace, this can also be customised into the different coloured crystals as showed above and also available in a silver version. This piece represents my aesthetics which is simple and versatile. 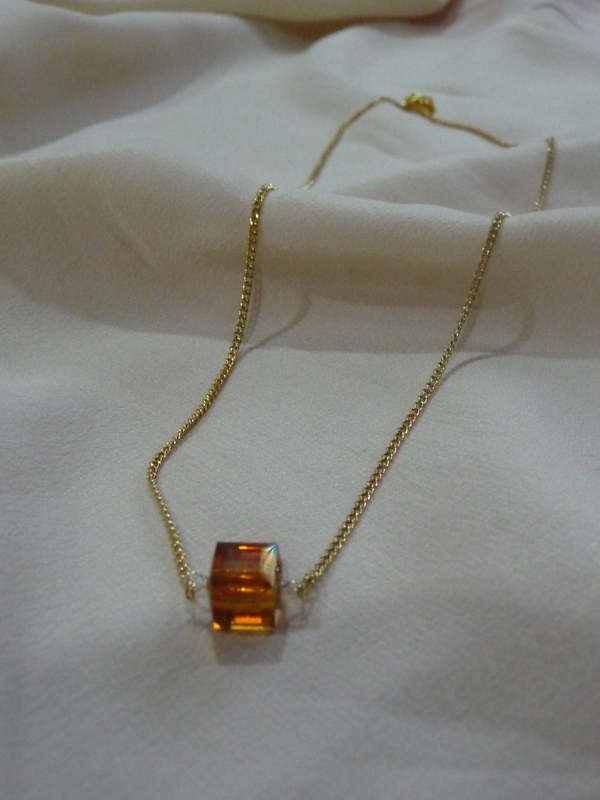 It is a long necklace which could also work as a shorter necklace when wrapped twice. It can be paired with other necklaces or could be worn on its own. 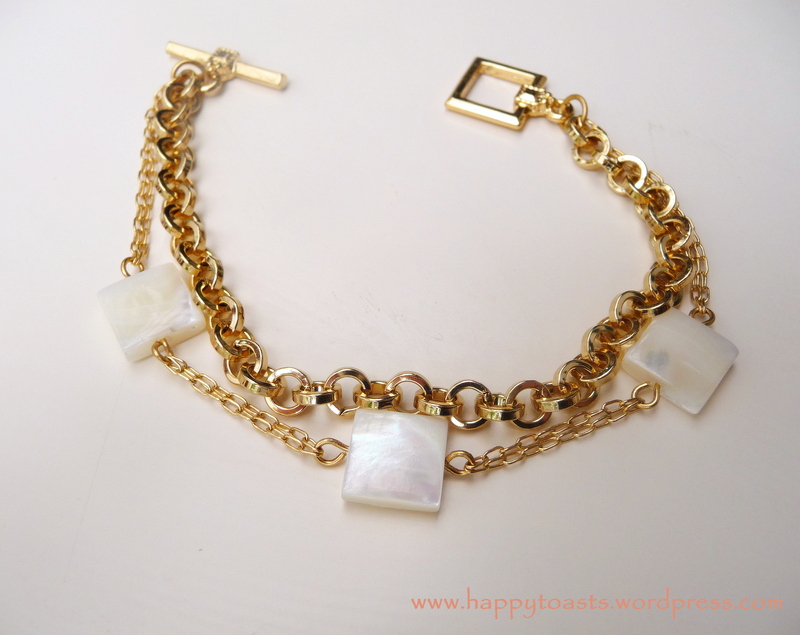 I think this piece is simple enough for everyday wear and chic enough to wear to work. 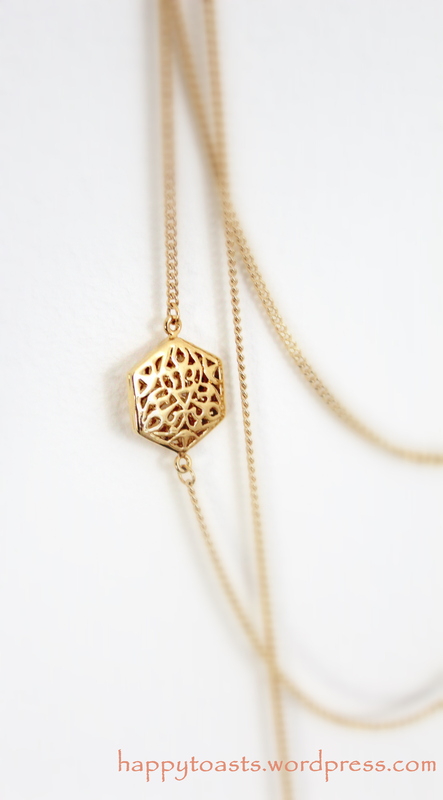 The texture and outlook of the chain is what makes this necklace very delicate. 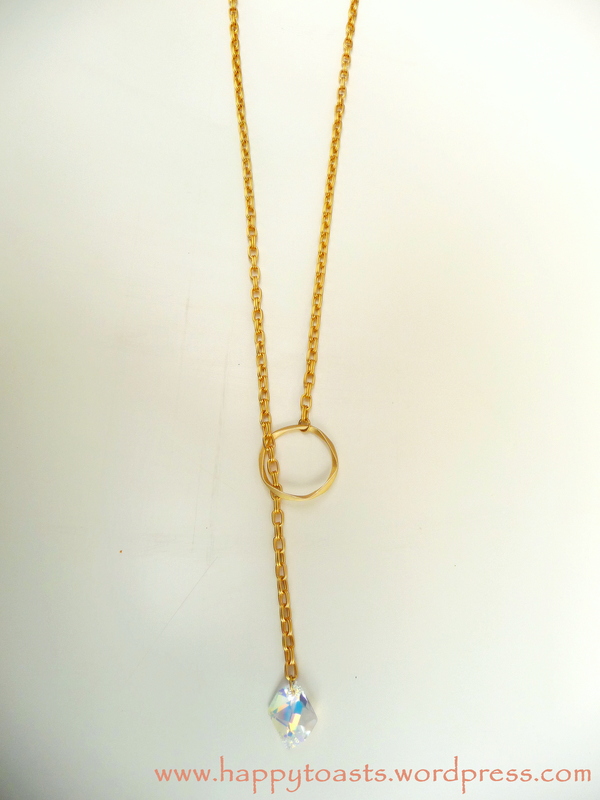 It is made out of 16K gold plated over brass oval-linked chain. It is highly polished and tarnish resistant. 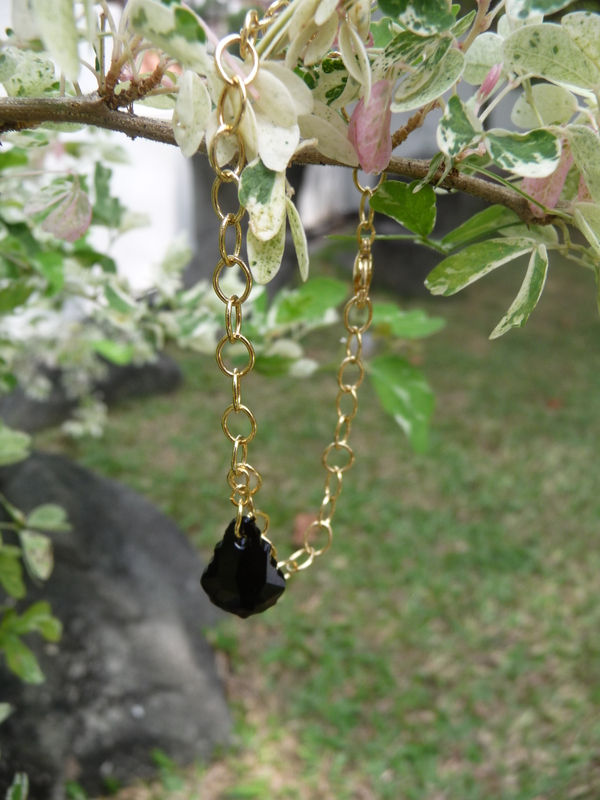 There are 4 black onyx stones in the shape of a clover, with small 16K gold plated over brass small beads. 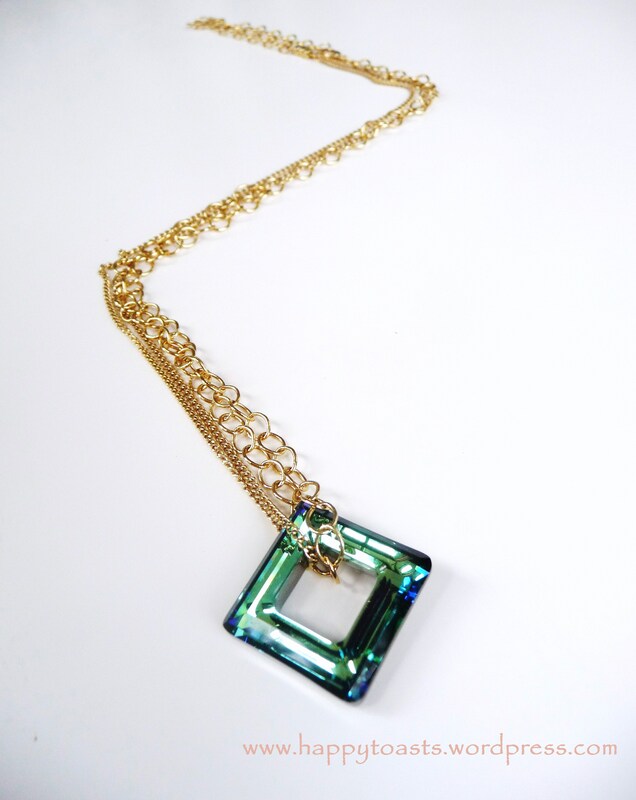 This piece is in-between a statement piece and a simple necklace. 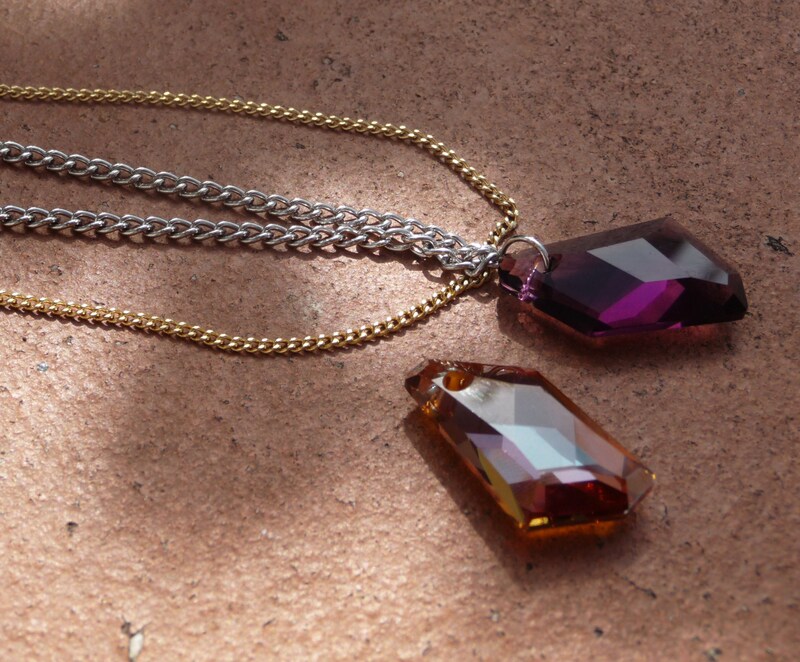 It is simple but with a significantly large crystal, this necklace is definitely noticeable. 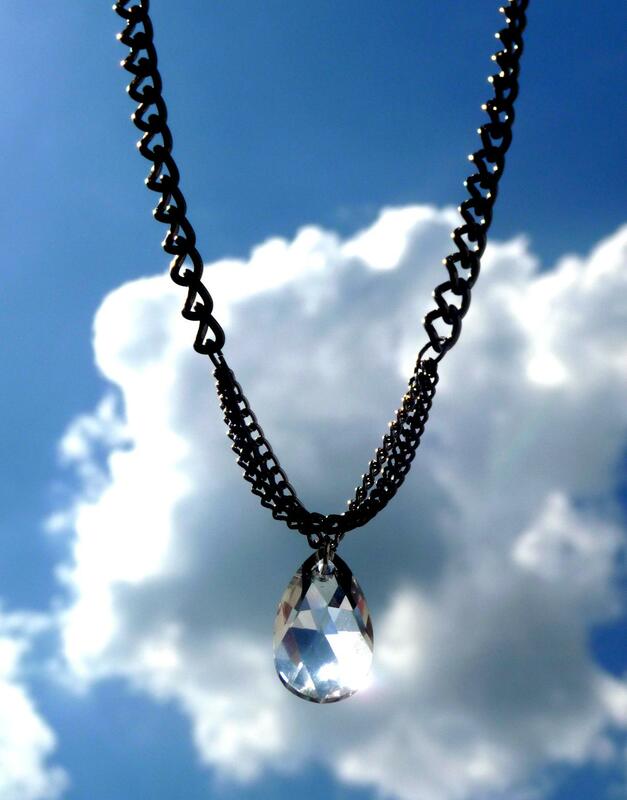 It is made with gunmetal and silver coloured chains. 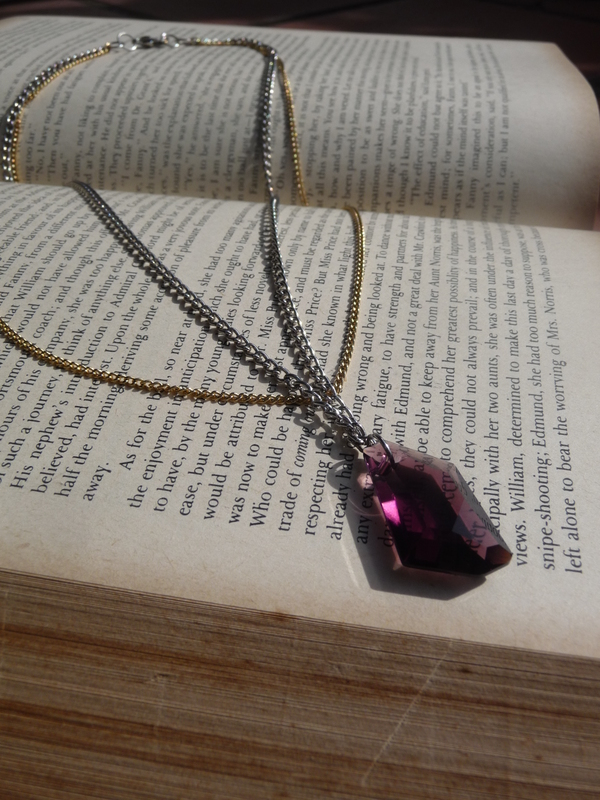 The stone is a pear shaped genuine swarovski crystal in the colour crystal. 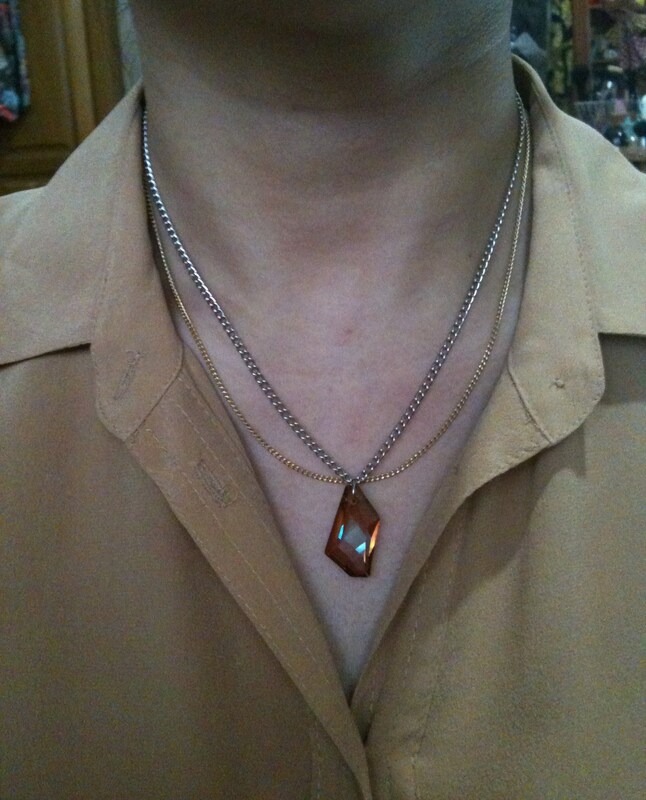 As usual, I can customise this piece using a different coloured stone (if available). The length of the chain is approximately 18 inches long. This piece is my pride and joy just because I am absolutely surprised myself at how lovely it turned out. 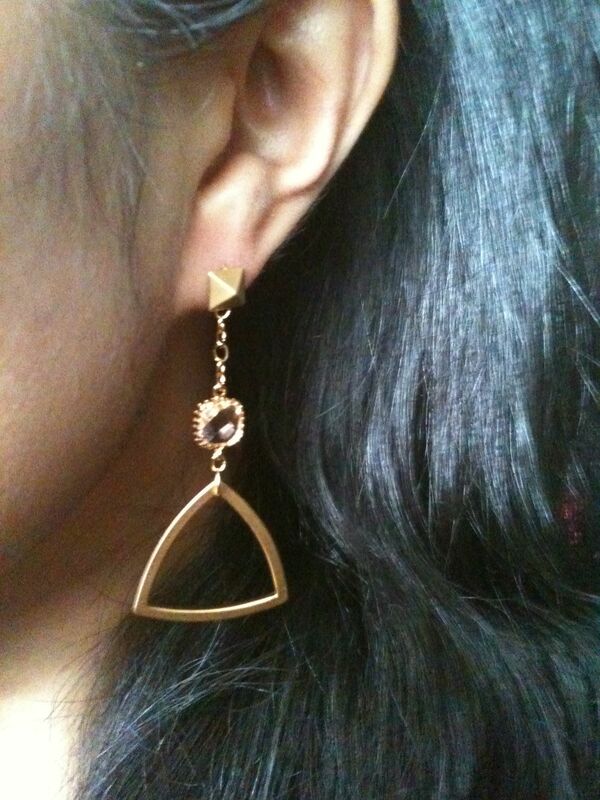 I’ve been obsessed with studs and triangle shaped jewellery lately. Incorporating that with elements of elegance, I decided to attach a small cubic zirconia stone in square setting to give the large triangle finding a softer look. 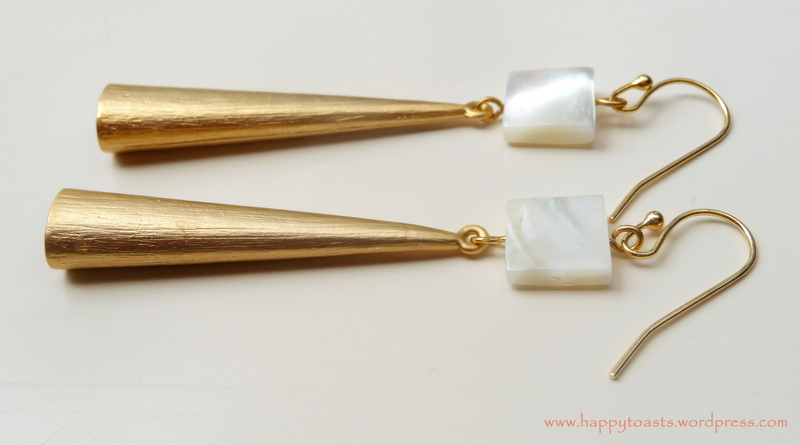 The earring studs have a matte finish with a tarnish resistant 16K gold plated brass body and sterling silver posts. 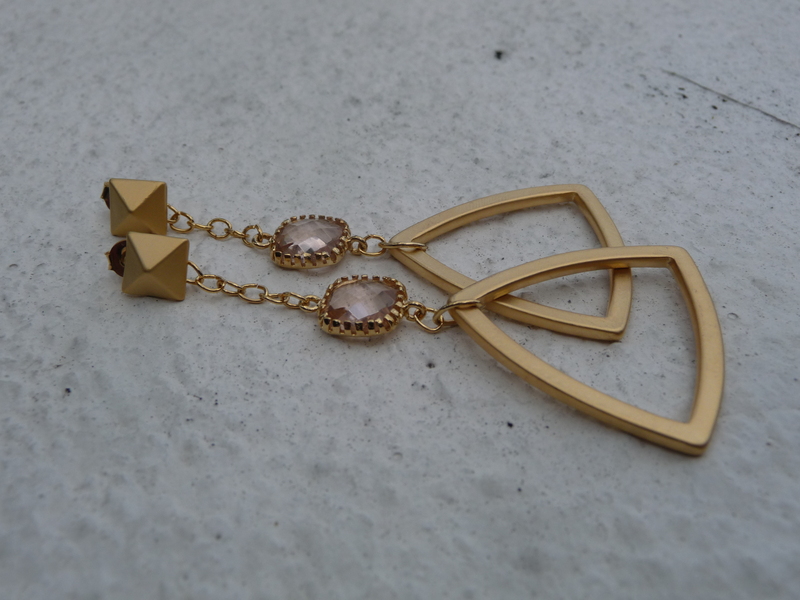 The triangle components are 16K gold plated zinc alloy with a matte finish whereas, the stones used in the earrings are Cubic Zirconias in a 16K gold platedbrass setting, in the colour vintage rose. 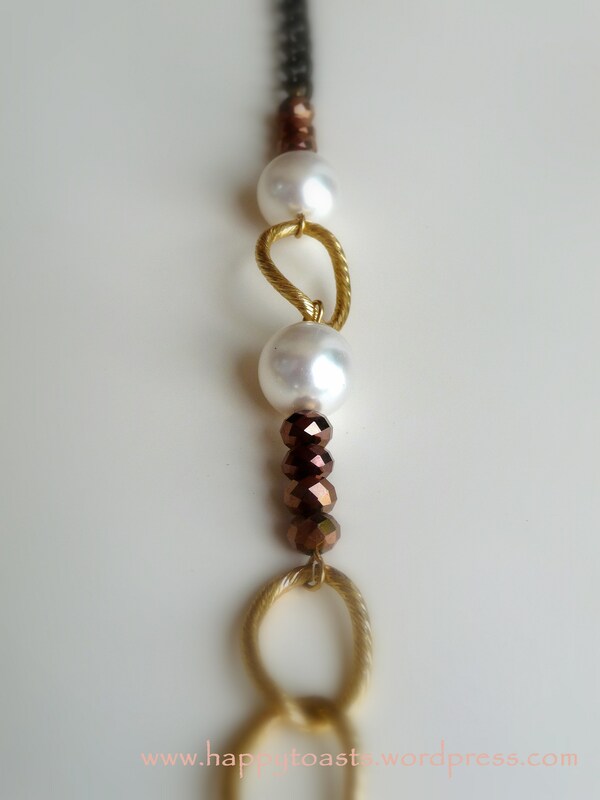 This Anka piece will look great with your hair up or down. The matte finish makes this piece look ultra chic and expensive. A silver version of this can be made if anyone is interested! 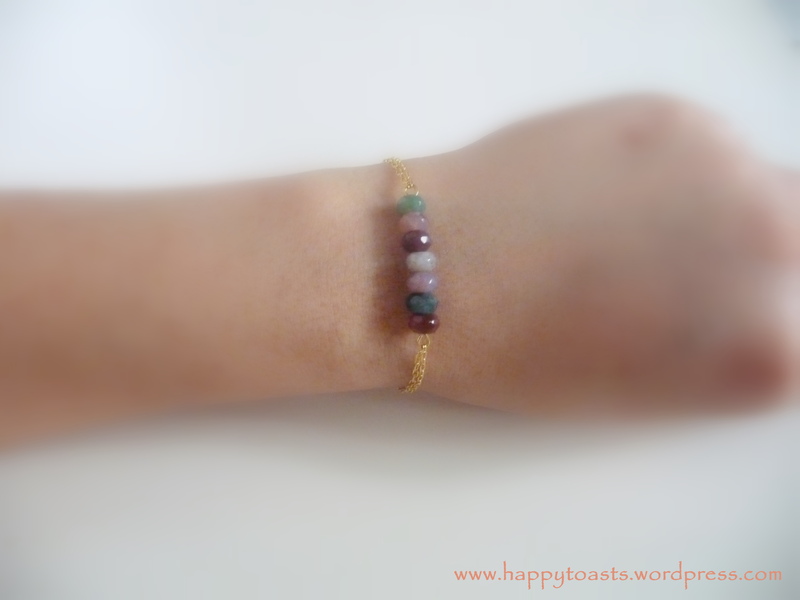 This is my fav layering bracelet as it is so simple and petite, makes it so easy to wear with my other bracelets. 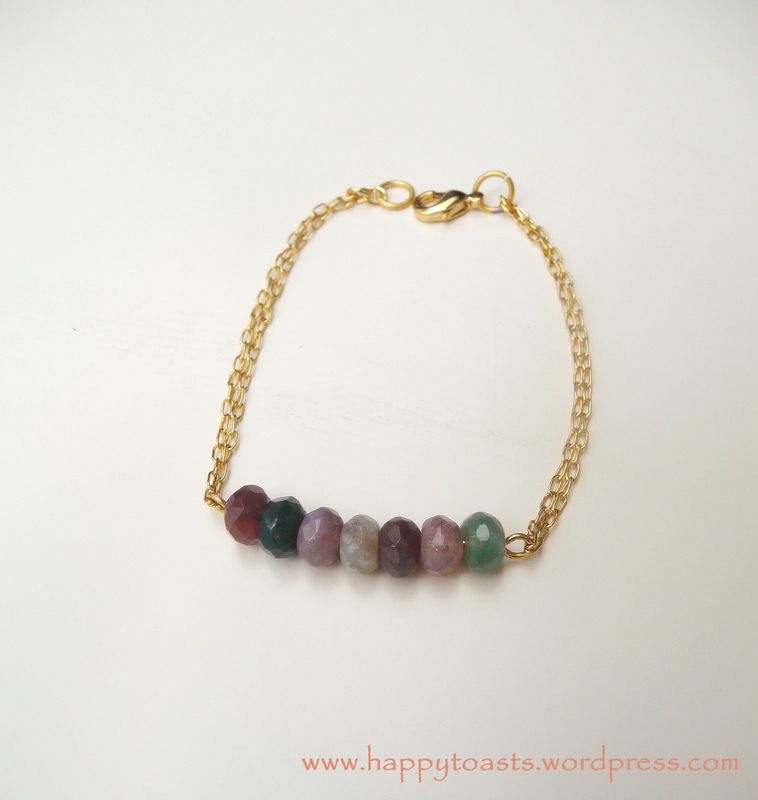 It is cute, delicate and beautiful all rolled into one simple bracelet. 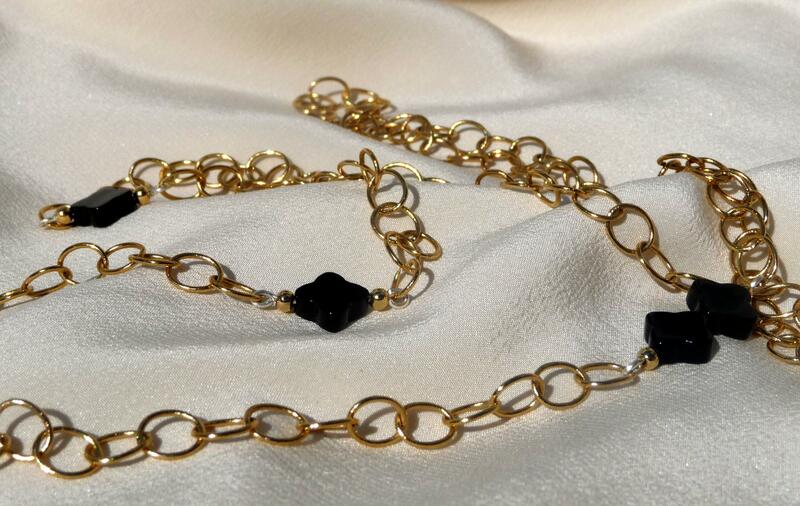 Made out of highly polished round link chain that is made out of brass with tarnish resistant 16K gold plating. 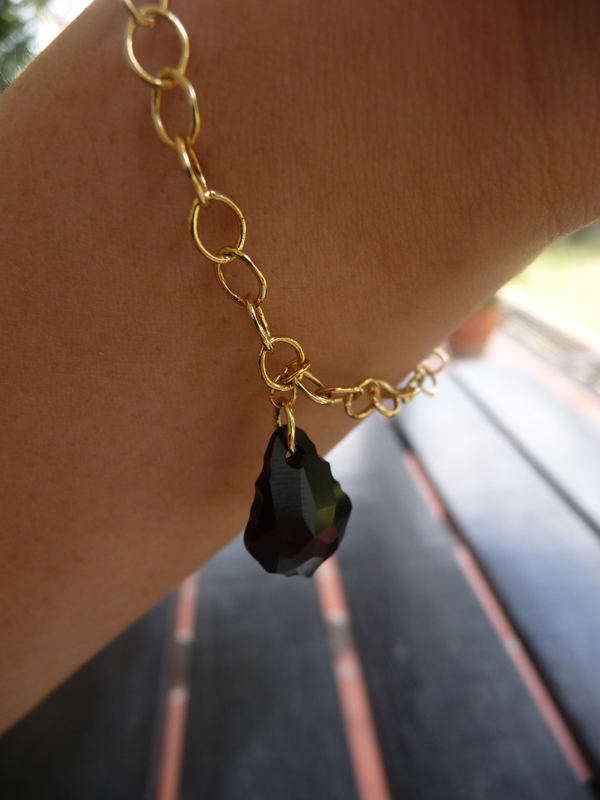 The charm used is a genuine Swarovski Baroque crystal in jet black. The multiple cuts on the crystal catches the sunlight beautiful when worn during the day. 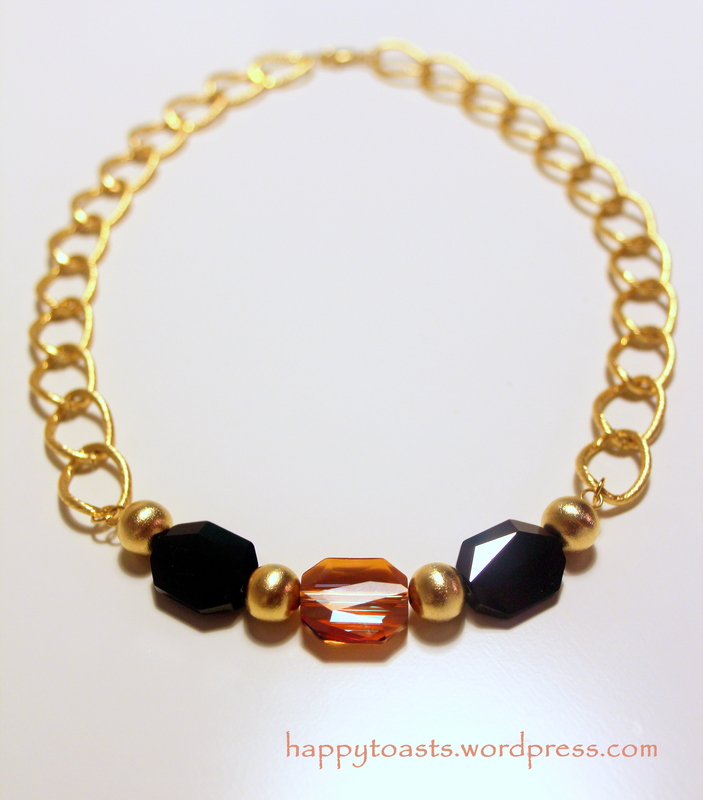 A bracelet with an edgy. I think the name describes the characteristic of this piece well. The name Rilla makes me think of something/someone that is simple but with an edgy at the same time. It is not big enough to be a statement bracelet but it is definitely unique enough that it will turn heads. 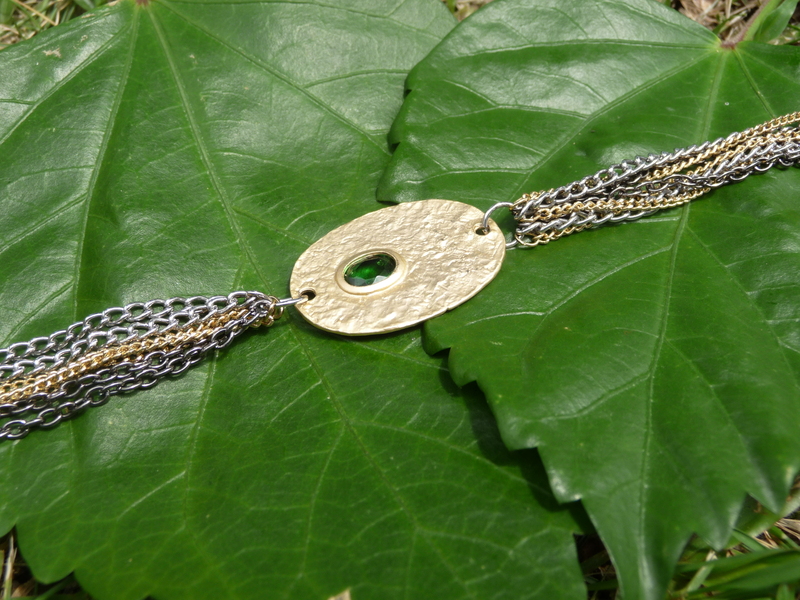 Made using gold, gunmetal and silver plated brass chains with an oval connector made out of lead-free pewter. The oval connector has a hammered-like texture in matte gold-plated colour. 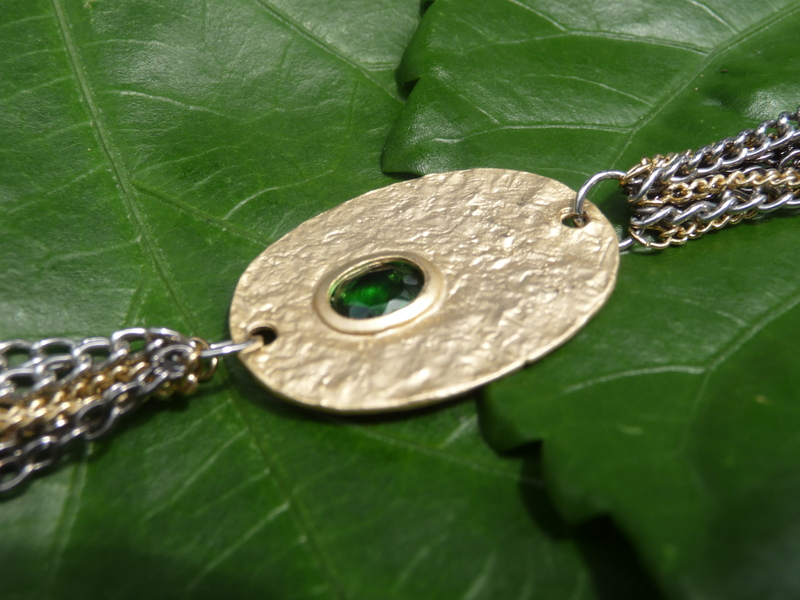 The emerald coloured stone is made out of glass. 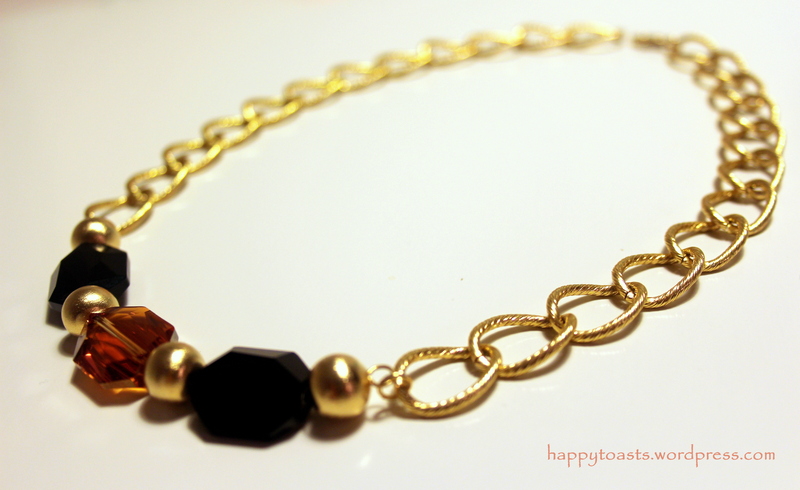 The combination of the hammered texture and multiple coloured chains is what makes this bracelet edgy. 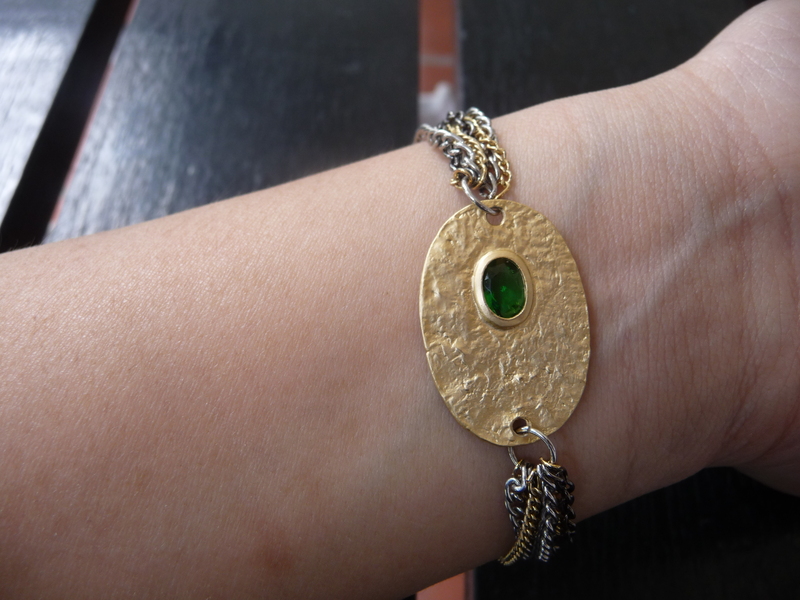 The emerald stone gives this bracelet a regal touch. *P&P are not included in the price. Method of payment includes PayPal, MayBank transfer, UK bank transfers and all major credit and debit cards (through an automated invoice). For Malaysians, Pos Laju standard rate is used. 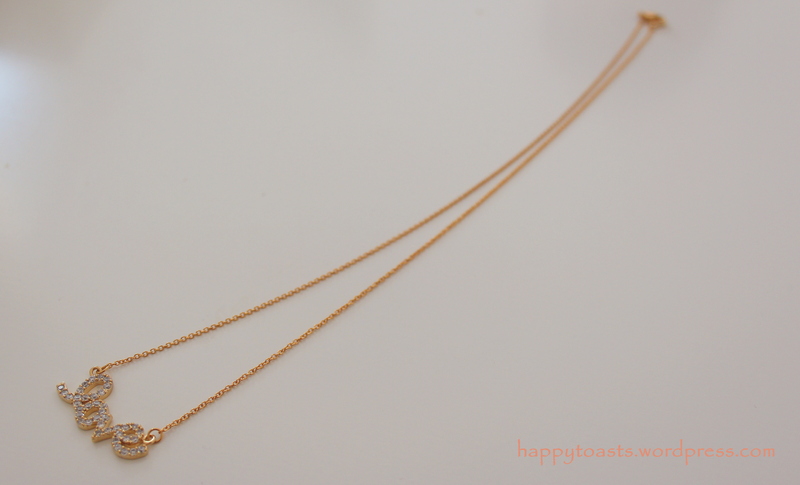 A simple short necklace that could work with any outfit on any occasion. 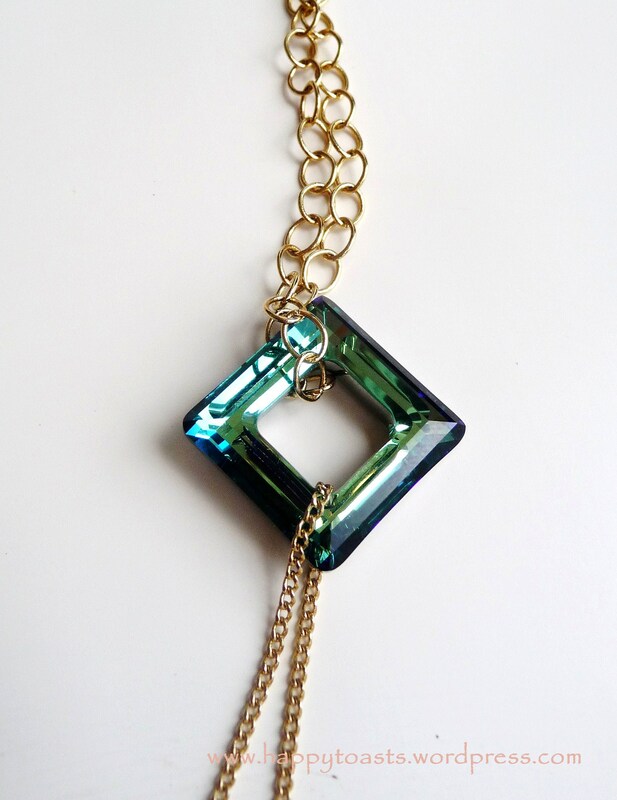 This necklace is made using a small genuine Swarovski Crystal cube bead with a matte gold chain. 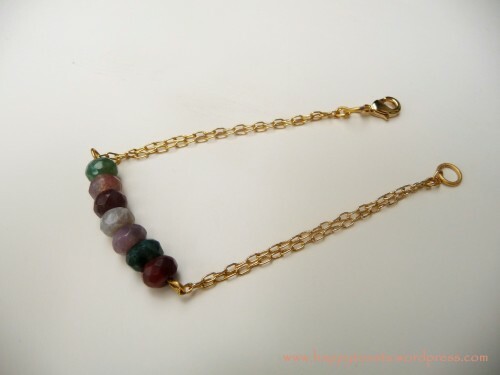 Can be customised using a different coloured chain and stone. 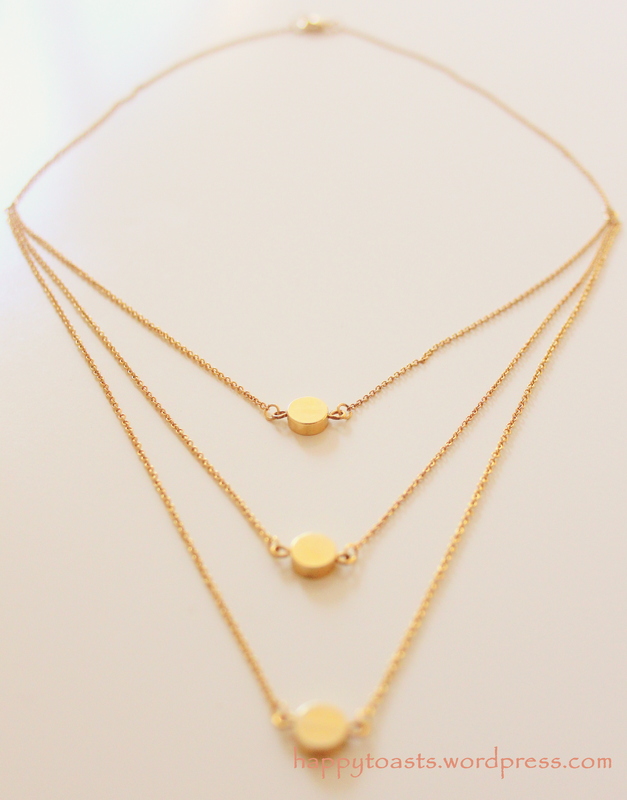 Layer this necklace with other short necklaces to make a statement! 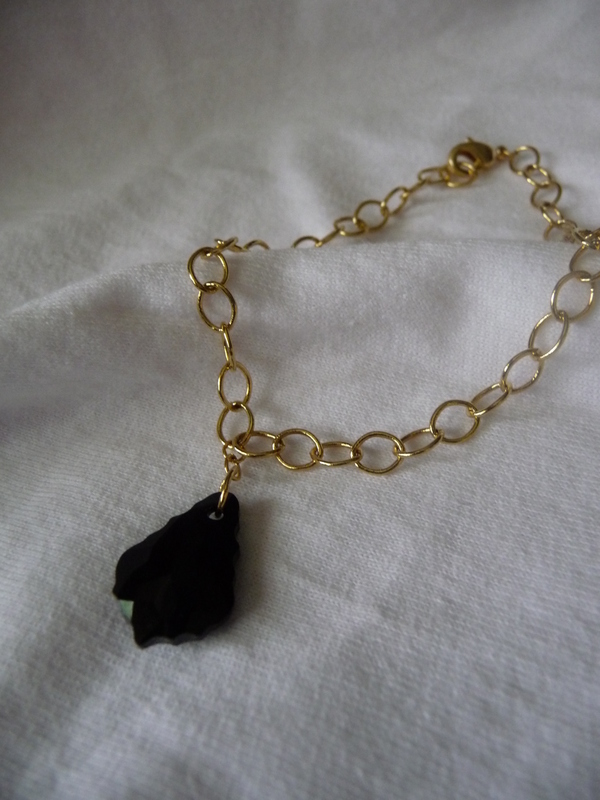 A simple piece with an exquisite crystal stone. I know some people may think silvers and golds dont mix but I think sometimes it does work! 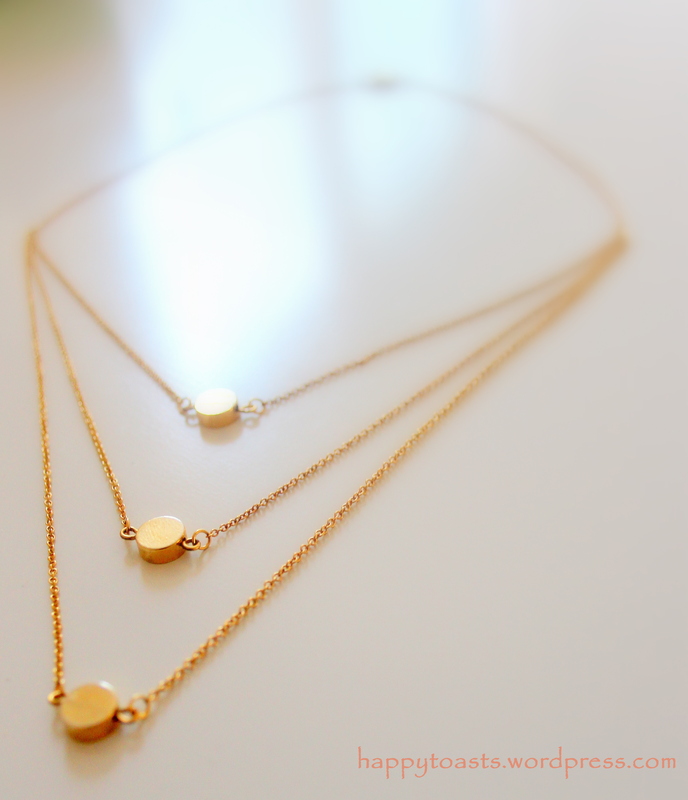 In this case the gold brings a delicate touch to the slightly thicker silver chain. 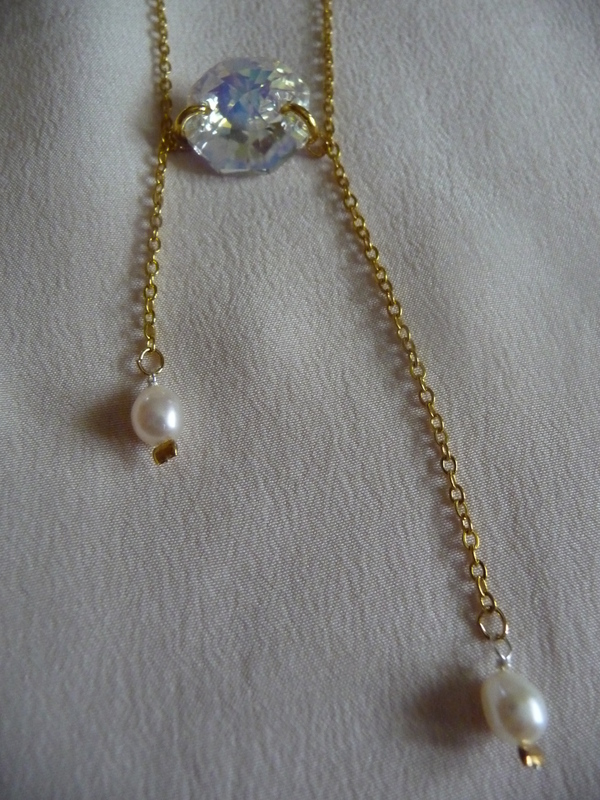 I didn’t attach the gold chain to the pendant as it looks better hung loosely at the back, framing the necklace. The purple pendant was a bespoke piece ordered by a friend; I can custom make this necklace using other colours of stone (if available). 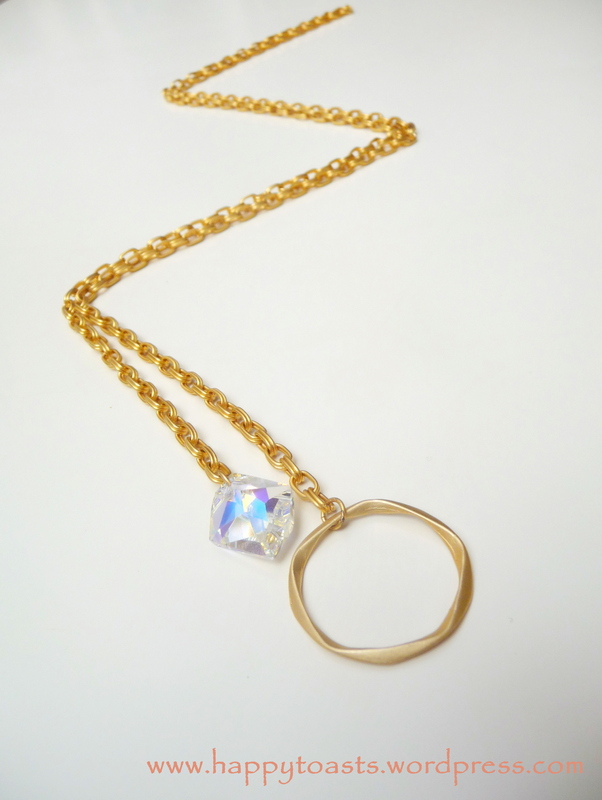 This piece is made out of silver and gold chain with a significantly large genuine Swarovski Crystal. 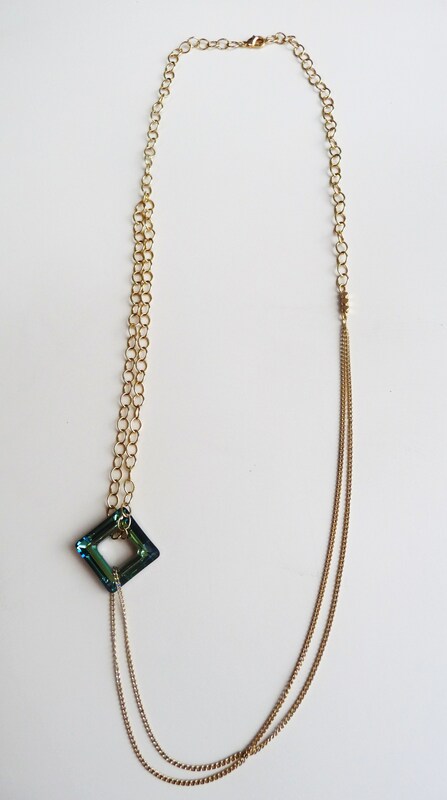 The length of the chain is slightly longer than the average length for short necklaces as I find it sits better when placed much lower, also elongates the neck beautifully. No two natural stones are the same therefore some might have different specs of colours in it. For any interested customers, I will be emailing you the choices of Jasper stone available before proceeding on making the necklace. This piece is the only piece that took me almost a week to finish. 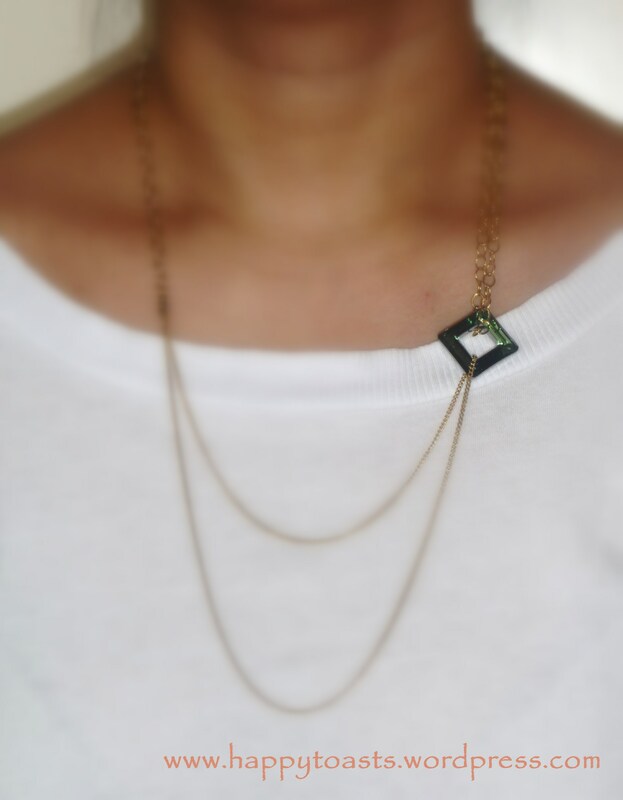 It is a messy chic layered necklace that looks absolutely pretty with an edge. It is inspired by Chanel for the colour of the chains and pearls combo. 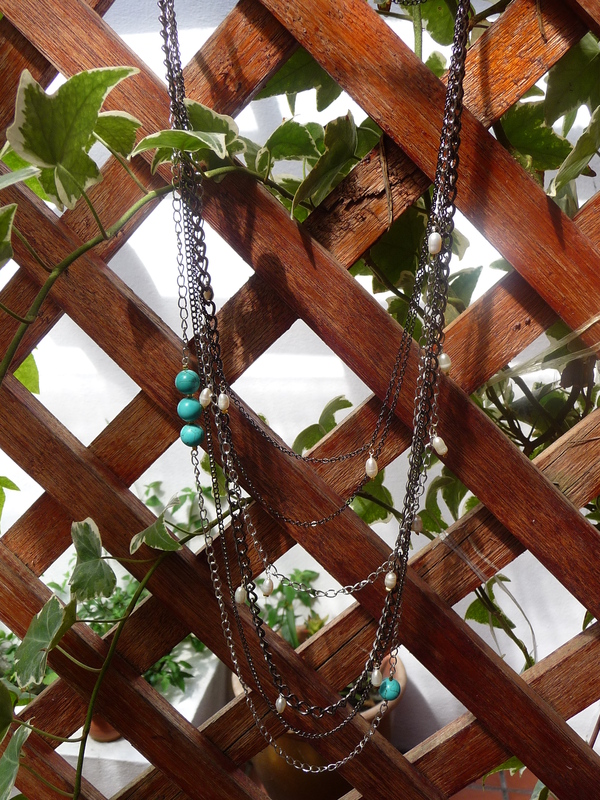 The Turquoise stones are added to give it a pop of colour. 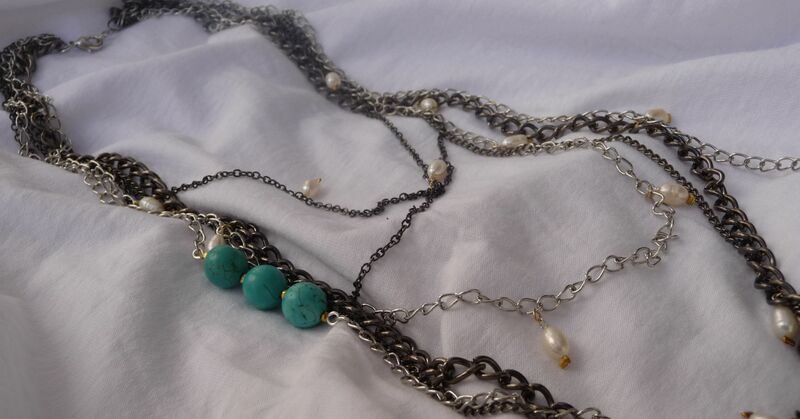 Made with gunmetal and silver chains of different shapes and sizes, several genuine freshwater pearls and 4 natural Turquoise stone beads. Wear this with a simple plain tee or a pretty blouse. For a night out, wear this with a chic dress. 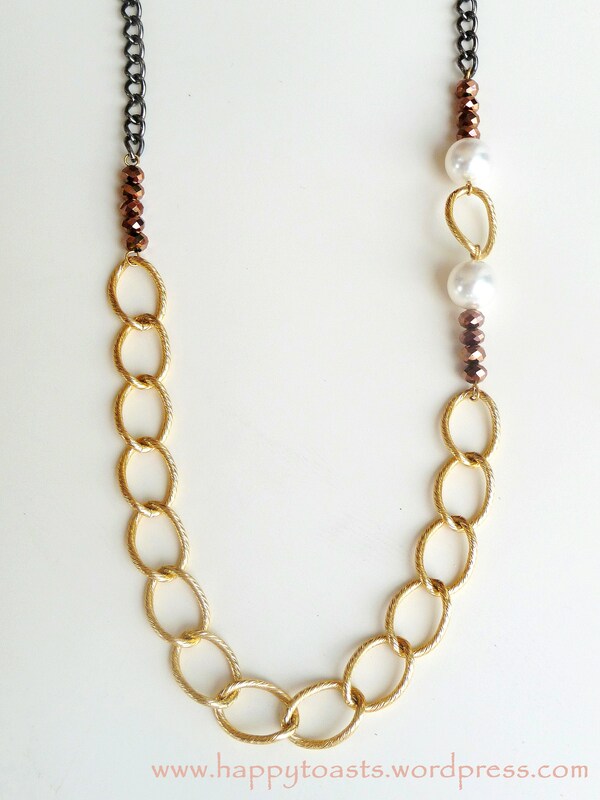 I think this necklace is versatile and could be worn dressed up or down. A very delicate piece, especially pretty on a simple dress. 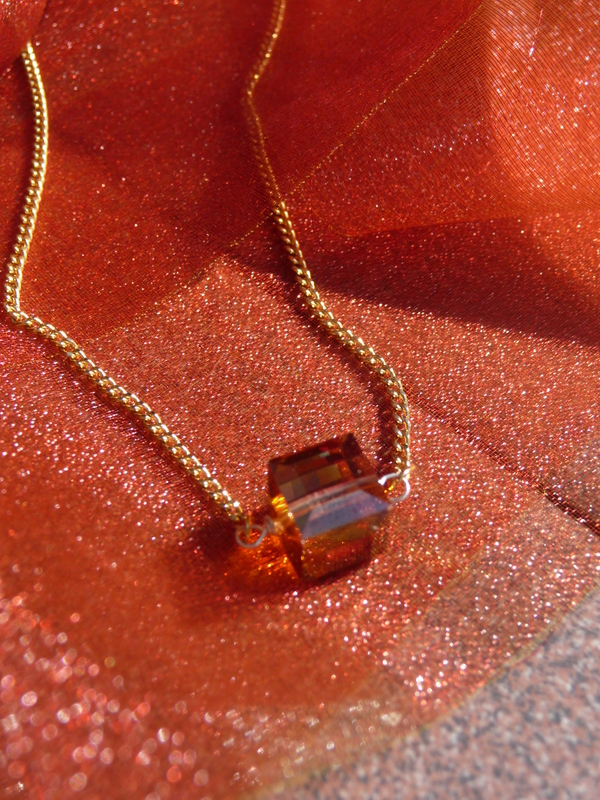 This is truly an elegant necklace with a simple Aurora Borealis Crystal as the center of attention. This design is a collaboration of my mum and I. It consists of one genuine Aurora Borealis Swarovski Crystal and two freshwater pearls. 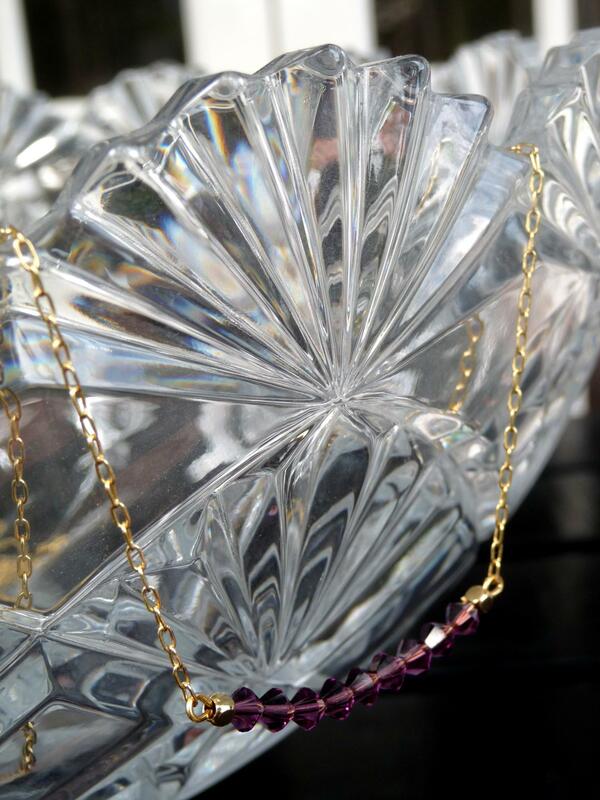 This necklace hangs beautiful just on your chest, a beautiful spot to elongate the neck. This was the first necklace I made and it has been my fav so far just because I realised that this necklace is the one I made a lot of use off. 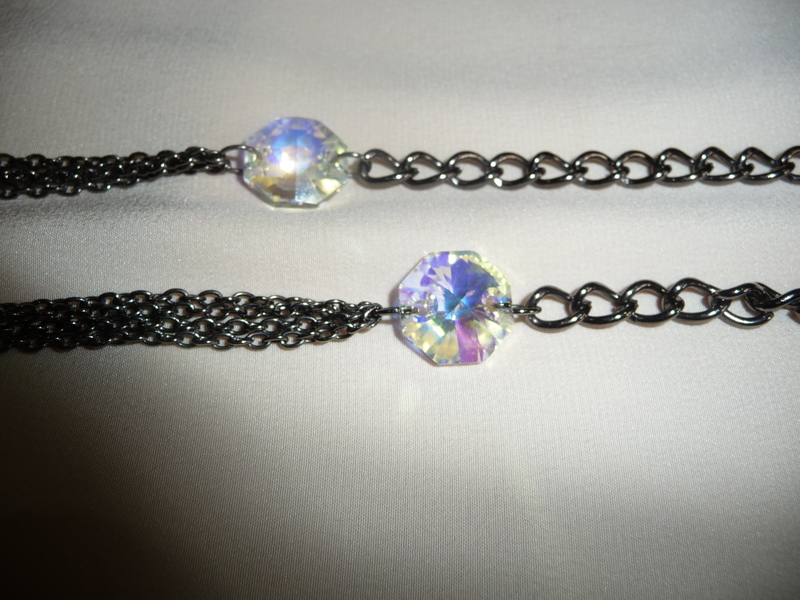 It is made using gunmetal chains and 2 Genuine Aurora Borealis Swarovski Crystals. It is absolutely versatile and can be worn formally or casually. 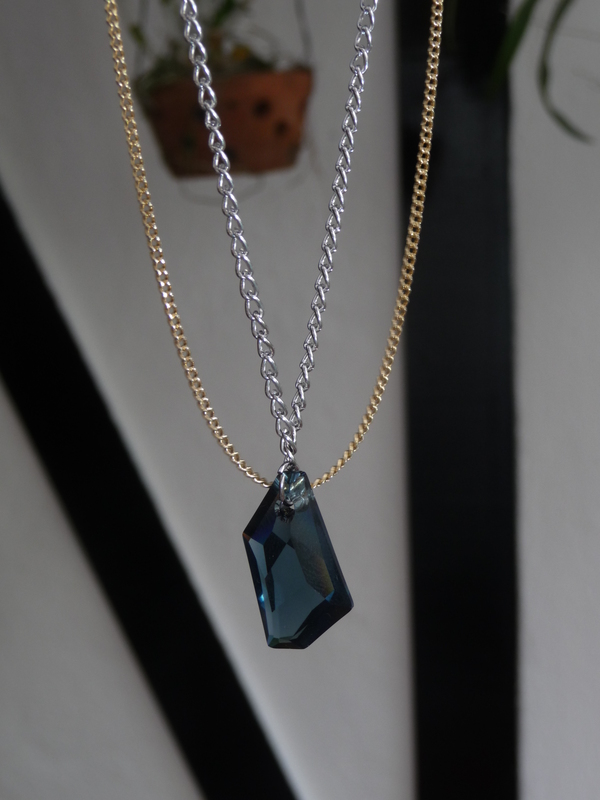 The colour of the gunmetal chain brings out the shine in the crystals. The length of the chain can be altered to your taste. 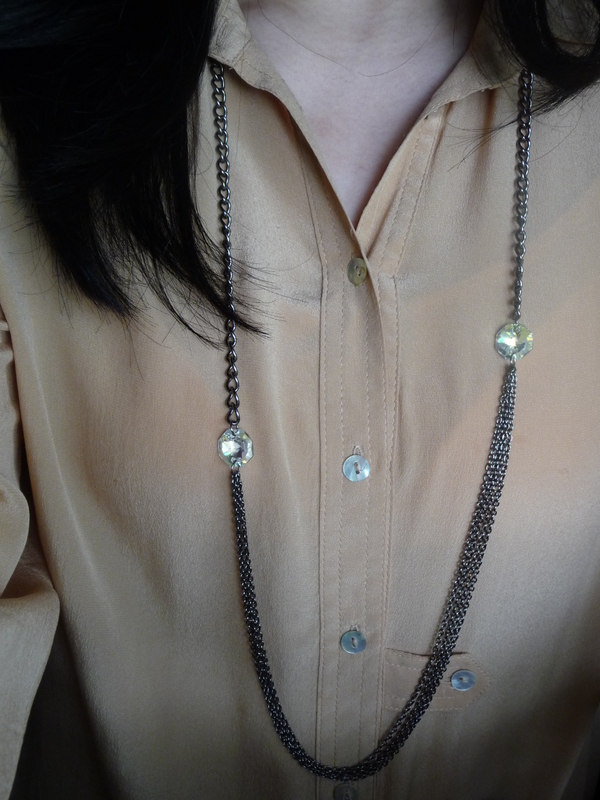 Tip: Make it long as you can double it up around your neck and make it into a shorter necklace. Thank you Eda 🙂 yup it surprisingly does work! great collect you have there. my ella necklace is just perfect. Oh wow, the Le Sensible Necklace is exactly what I’ve been looking for, for the longest time now. I don’t like silver jewellery really, but there are occasions when gold isn’t ideal, and this is such a gorgeous gun-metal grey (I believe that’s what it’s called). The crystals give it the most beautiful edge too – simply stunning. What alterations can you do to The Naia Bracelet? I love it in black which I may buy but can you do anything with a pearl colour stone? I’ve being looking above and not sure if the ones you have in other items would look as good as the black. Can you do it on a silver chain also? Thank you Celia! 🙂 Anna’s great! I just saw her vlog and it feels so surreal to be mentioned by her in her video!! Hey ! 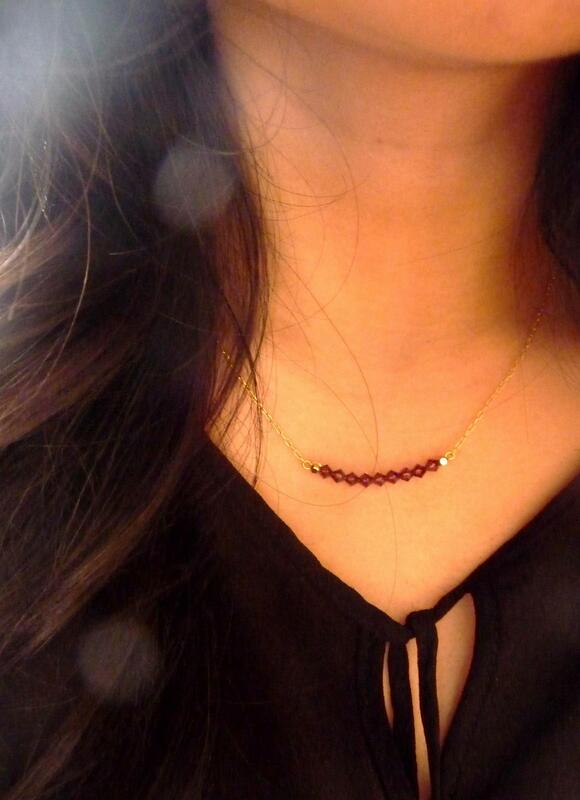 Can u make the GG & Lea Michele-inspired ‘XO’ Necklace a little bit longer ?I would like to buy it for my friend as a birthday gift. 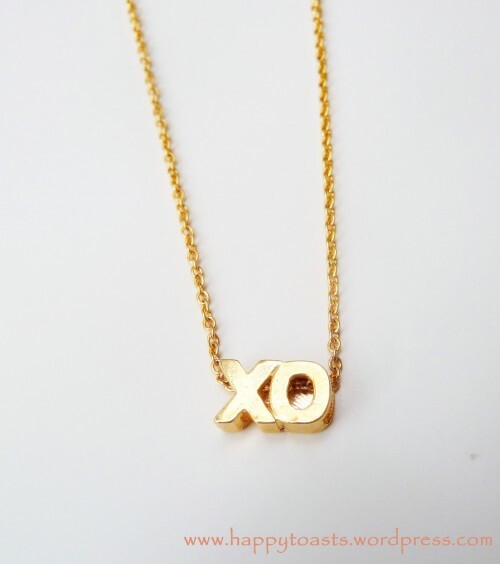 i am interested in the ‘xo’ necklace could you please tell me how much it is in euro? I live in Ireland do you ship there? Hi, do you still have the xo necklace? I am from the UK btw and I heard that you are offering free shipping!! I am contacting you as I had sent a message to happytoastsblog@gmail.com several days ago and having not yet heard a reply, I am concerned whether it was received and if this is the correct address to reach you? 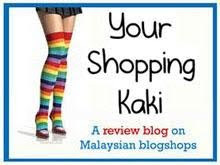 A Malaysian blogger who resides in London. Owns a jewellery line 'Designs by FaraM' and writes as a hobby. My interest expands from fashion to music to maths. This blog aims to give you an insight on my life and my thoughts. Enter your email address to follow HappyToasts!